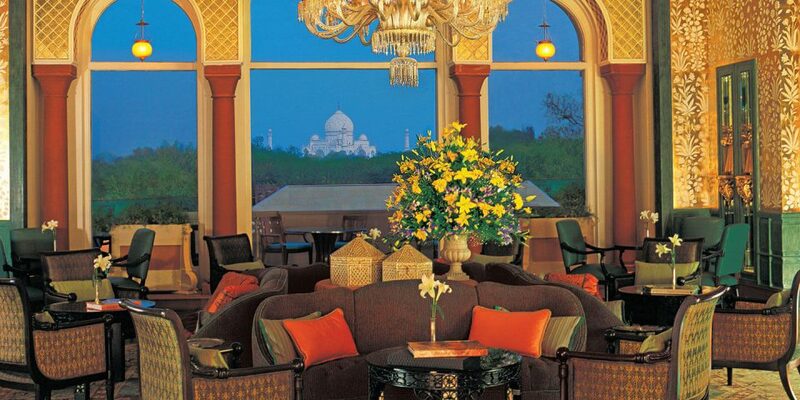 The Oberoi Amarvilas is the most luxurious hotel in Agra, and certainly it’s most unforgettable. 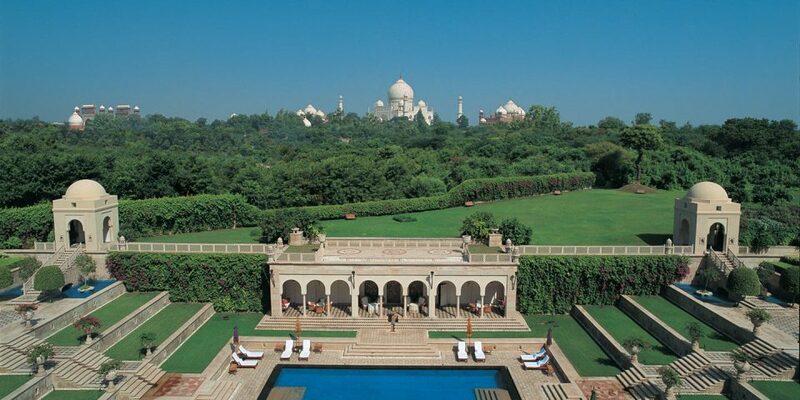 Nestled a mere 600 metres from the Taj Mahal, the Oberoi Amarvilas offers undisturbed views of the world’s favourite monument to love from every room. 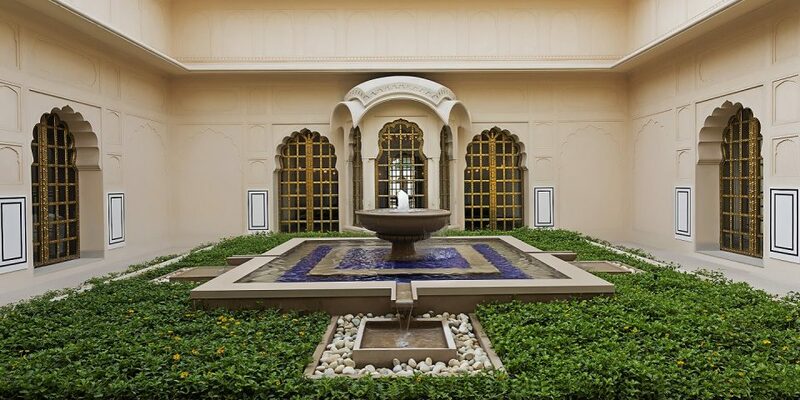 This opulent hotel oozes sophistication and charm whilst remaining at home in its surroundings; the design was largely inspired by traditional Mughal architecture, apparent in the stunning display of fountains, reflection pools and perfectly symmetrical lawns. 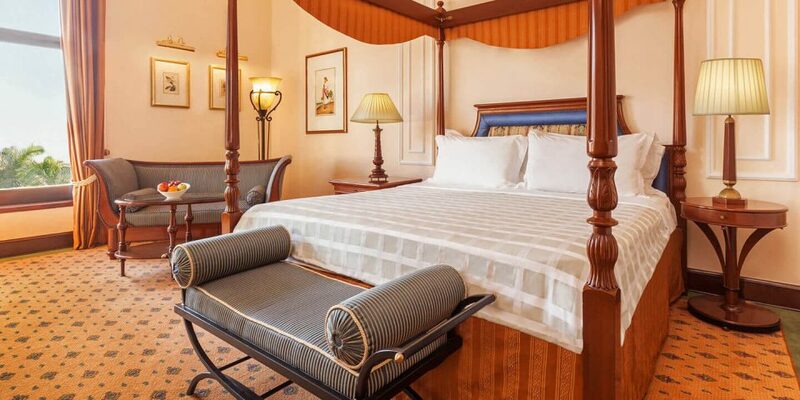 Rooms and suites are divided into the Premier Room, Premier Room with Balcony, Deluxe Suite, Deluxe Suite with Balcony, Luxury Suite, and Kohinoor Suite. 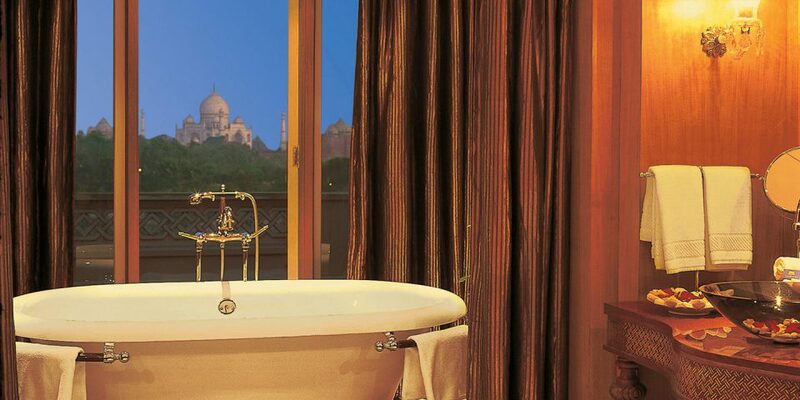 Our favourite is the Premier Room with Balcony: admiring the beautiful Taj Mahal with a glass of wine from your own private terrace is unforgettable. Without the restriction of visiting hours, you can take in the monument a pearly pink at sunrise, a warm amber at sunset, and glittering sparkly white under the moonlight. 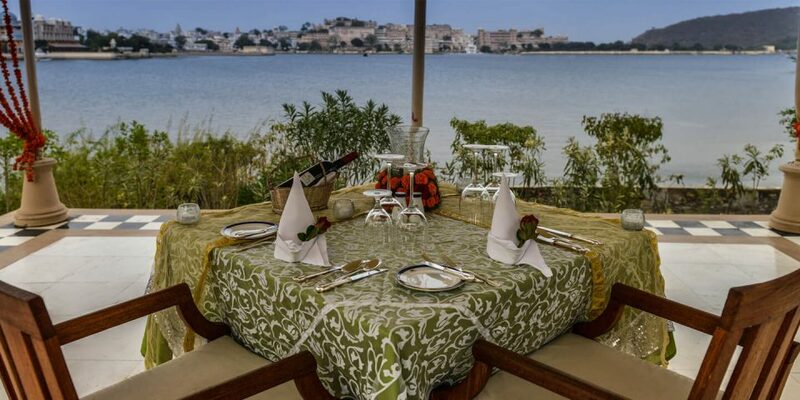 For the ultimate experience or to celebrate a special occasion, we’d recommend a private dinner on your balcony. 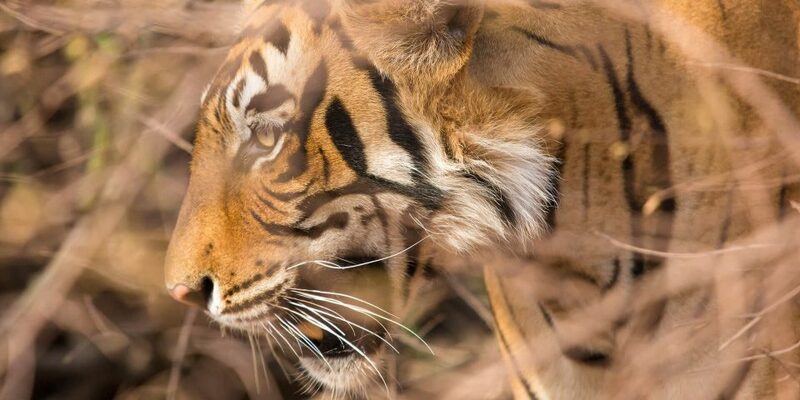 Quite possibly our favourite of all the Oberoi hotels in India, the Oberoi Vanyavilas is a stunning luxury camp located on the edge of Ranthambhore National Park – one of the best places in the world to spot wild Bengal tigers in their natural habitat. 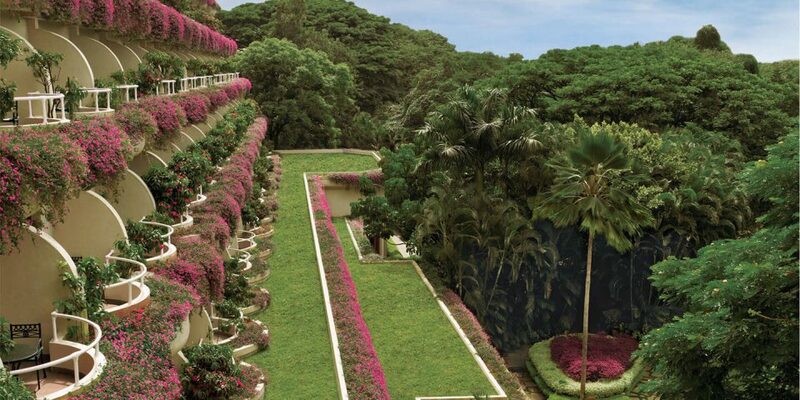 Sprawling across twenty acres of lush green gardens, the Oberoi Vanyavilas is also home to a colourful array of indigenous bird life and plants. In the mornings, peacocks strut across the lawns in a colourful display; in the evenings, frogs chirp harmoniously in the lily ponds. 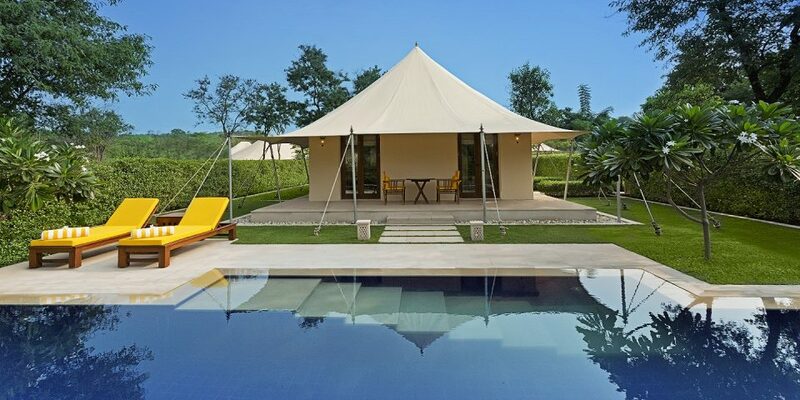 The Oberoi Vanyavilas is intimate, offering just twenty five luxury tents (all of the same category). 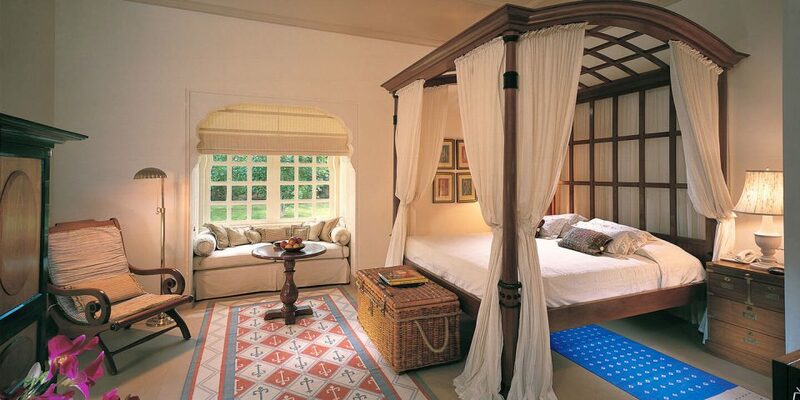 Each Luxury Tent is draped in rich, billowing canopies decorated in local block-printed patterns. The free-standing claw-foot bathtub adds a touch of glamour. 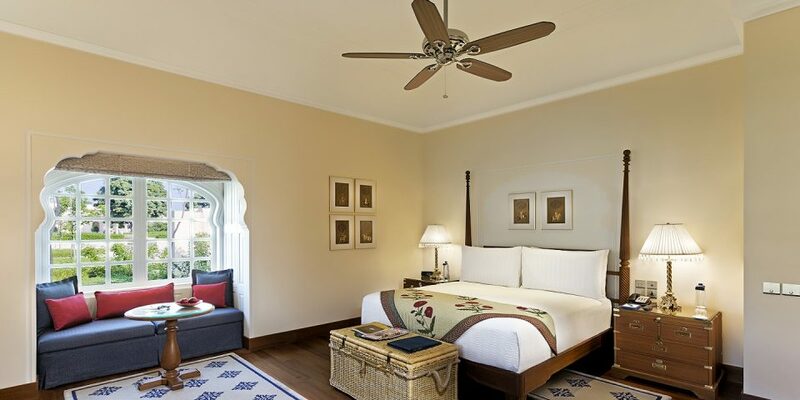 The Oberoi Vanyavilas is a haven to return to after an exhilarating Jeep safari in the tiger reserve, and the perfect contrast to the ruggedness of the forest. 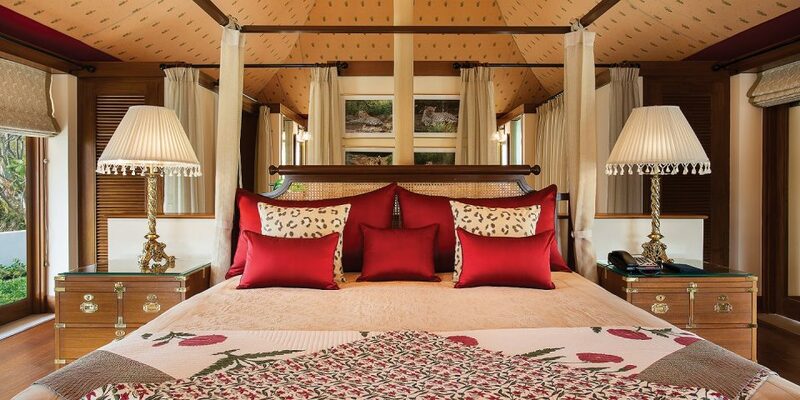 Even if you’re not lucky enough to spot the elusive big cat, the Oberoi Vanyavilas is sure to be a highlight of your luxury India tour. We recently stayed at the Oberoi Vanyavilas – you can read about our experiences there by clicking here. 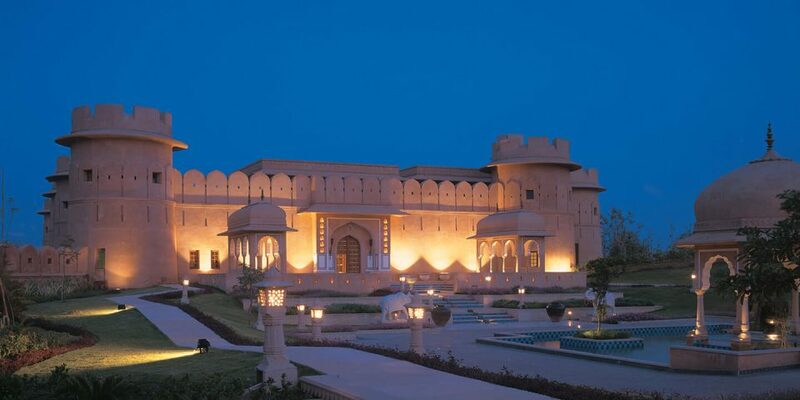 Why we love it: Built in the style of a traditional Rajasthani fortress, the Oberoi Rajvilas evokes all the rich, feudal romance of India. 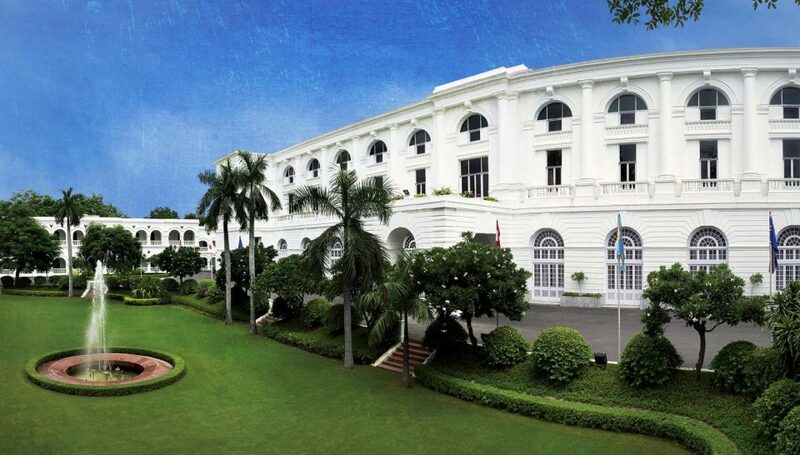 The Oberoi Rajvilas was the first of the Oberoi ‘vilas’ hotels in India. 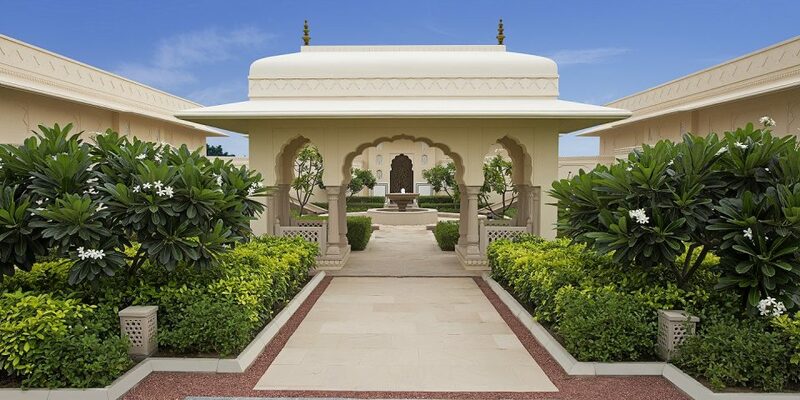 Resting on the outskirts of the Pink City and sprawled across thirty two acres of manicured lawns, the Oberoi Rajvilas is an oasis of peace and tranquillity. 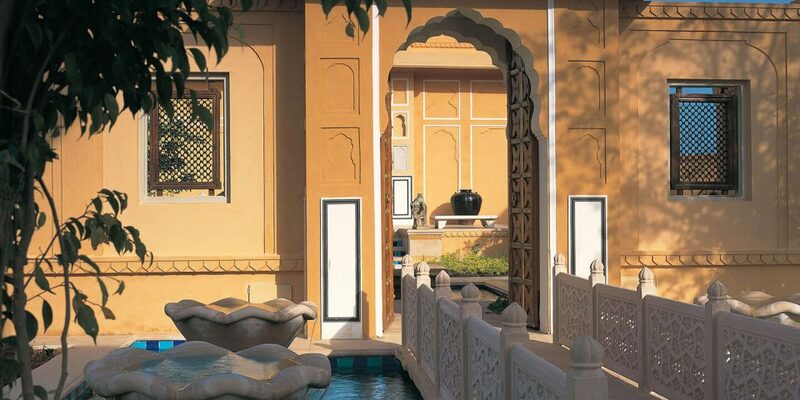 A highlight of the property is a traditional haveli (mansion) dating back to the 18th century, which now serves as the Oberoi spa. Nestled nearby is a 200 year old Hindu temple dedicated to Lord Shiva, where guests can experience prayer and meditation with a Hindu priest, as well as complimentary morning yoga sessions. Rooms are categorised into the Premier Room, Luxury Tent, Royal Tent, Luxury Villa with Private Pool, and Kohinoor Villa with Private Pool. We love the Premier Room. 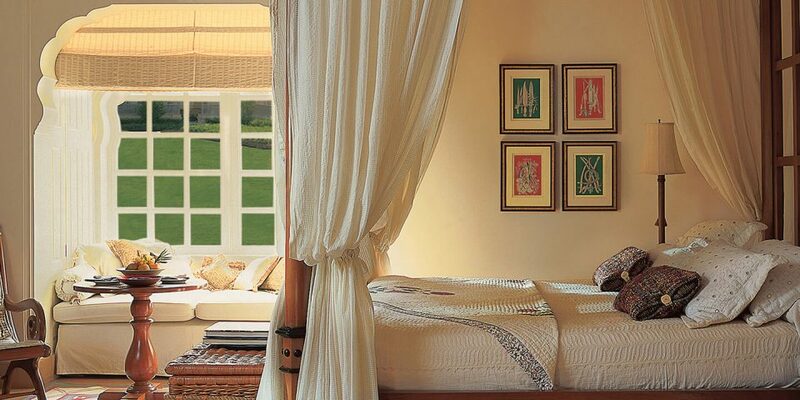 Tastefully adorned in natural hues and fabrics, the Premier Room is a cool and calming space. The four-poster bed exudes a royal flavour, whilst the sunken Italian marble bathtub offers views of your private garden. 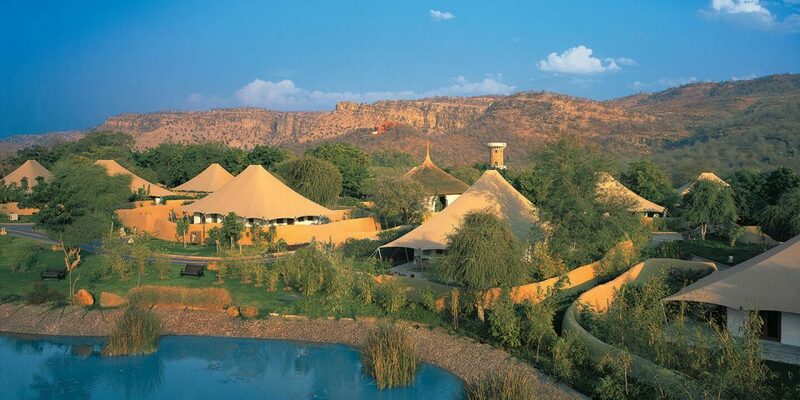 If you’re staying at the Oberoi Rajvilas in addition to the Oberoi Vanyavilas (in Ranthambhore) we’d recommend the Premier Room or one of the villas, not the Luxury Tent, as they’re rather similar in design to the ones found in Ranthambhore. 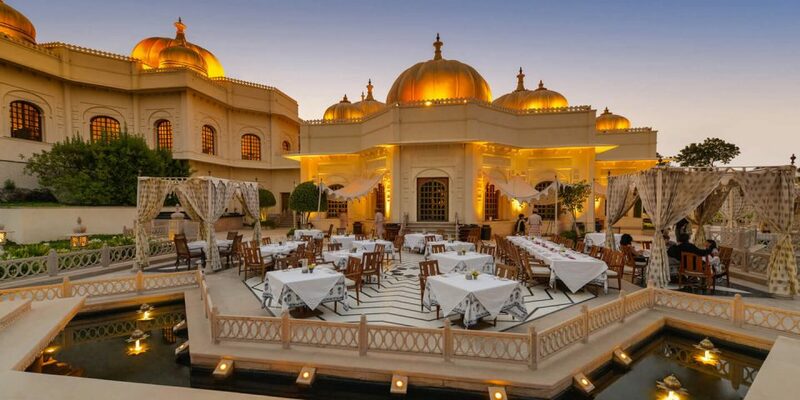 For an unforgettable experience at the Oberoi Rajvilas, we’d recommend the Chaarbagh dinner: with your own private table tucked away atop of stone steps, bathed in moonlight, dine under the stars and enjoy refined local dishes. 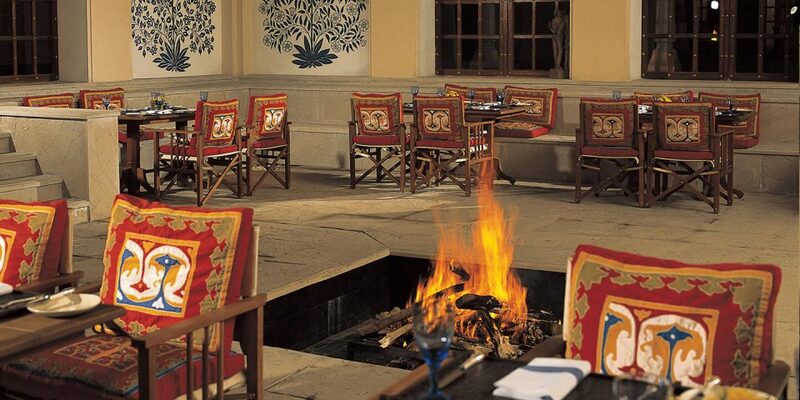 Or, the Poolside dinner, lit by torches and offering views of the ancient haveli, is a truly wonderful experience. 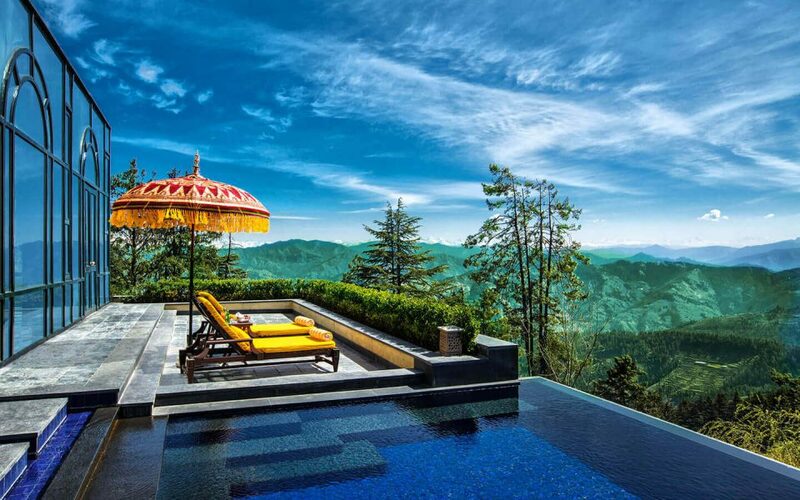 Why we love it: Voted as the Best Hotel in the World 2015 (by readers of Travel+Leisure magazine in the US), the Oberoi Udaivilas is the definition of luxury. 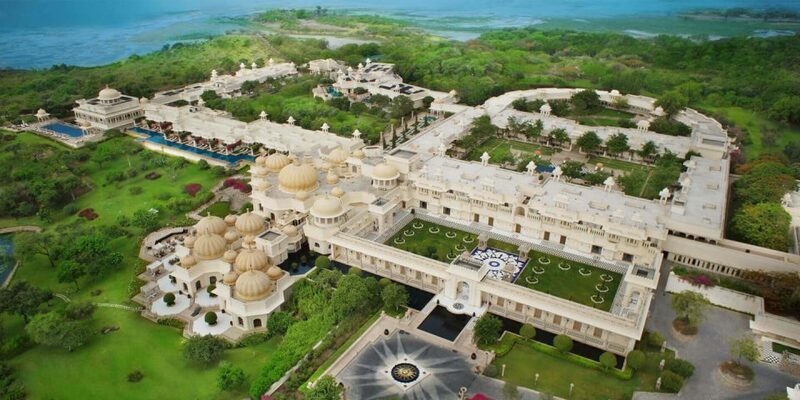 Spread across fifty acres of old royal hunting grounds, boasting panoramic views of Lake Pichola and the City Palace, the Oberoi Udaivilas is an ideal base from which to soak up all the rich history, splendid architecture and shimmering lakes of the ‘Venice of the East’. 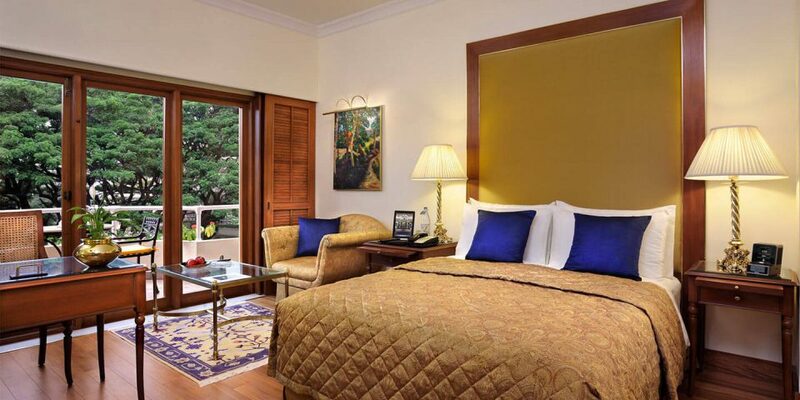 All rooms and suites at the Oberoi Udaivilas are superbly comfortable, ranging from the Premier Room, to the Premier Room with Pool View, Premier Room with Semi-private Pool, Luxury Suite with Private Pool, and Kohinoor Suite with Private Pool. 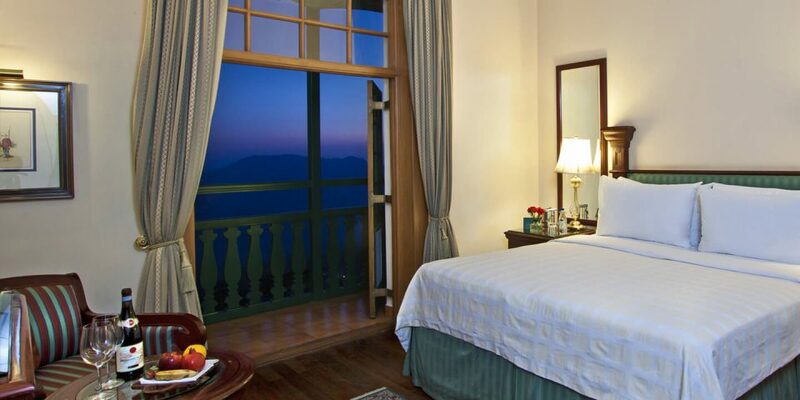 Our favourite is the Premier Room with Semi-private Pool: this cluster of rooms enjoy direct access to a swimming pool that runs along the periphery of the hotel – perfect for dipping into after a day of sightseeing, as you enjoy a stunning view over Lake Pichola. 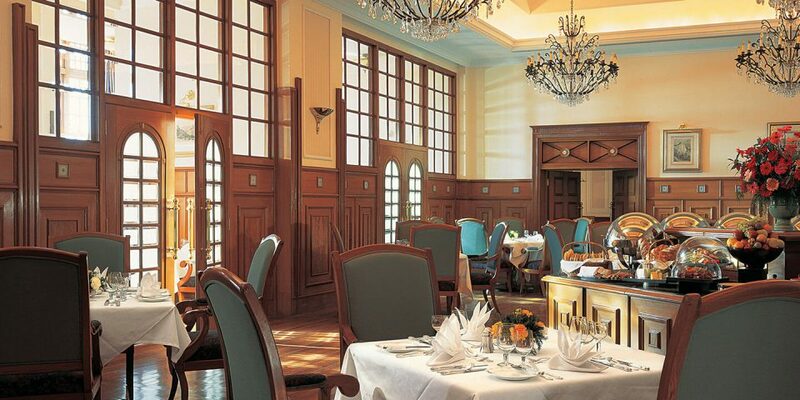 The Oberoi Udaivilas boasts a fine dining restaurant, a multi-cuisine restaurant, and a bar, though for a really special experience we’d recommend a private dinner beside the lake. 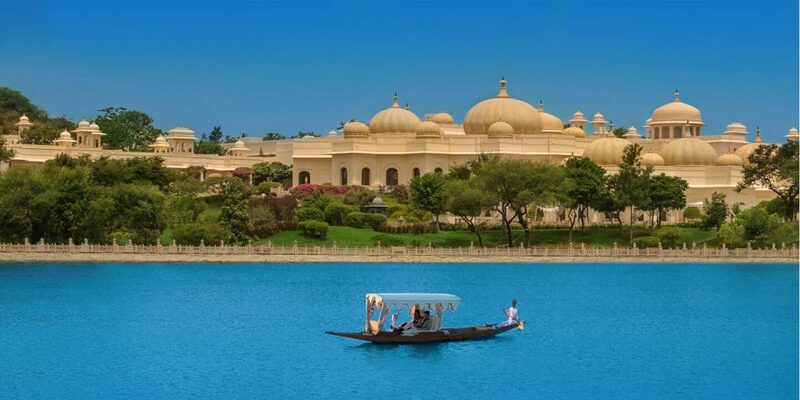 During a stay at the Oberoi Udaivilas a private shikara boat-ride on the lake is a must: many of our guests have found this to be a highlight of their luxury India tour. 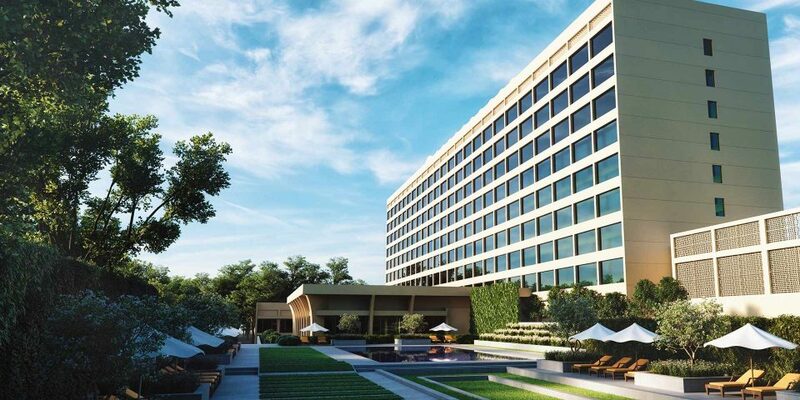 Why we love it: Conveniently just fifteen minutes from the airport, the Oberoi Gurgaon is ideal when flying in and out of the capital. 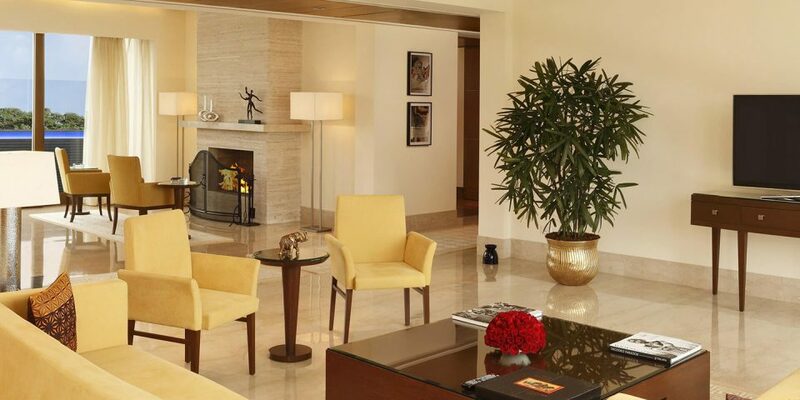 The award-winning Oberoi Gurgaon is one of our favourite hotels in the capital. It’s not the obvious choice in terms of location (it’s closer to the airport than the sights), it more than makes up for this with the best in service, décor and cuisine. 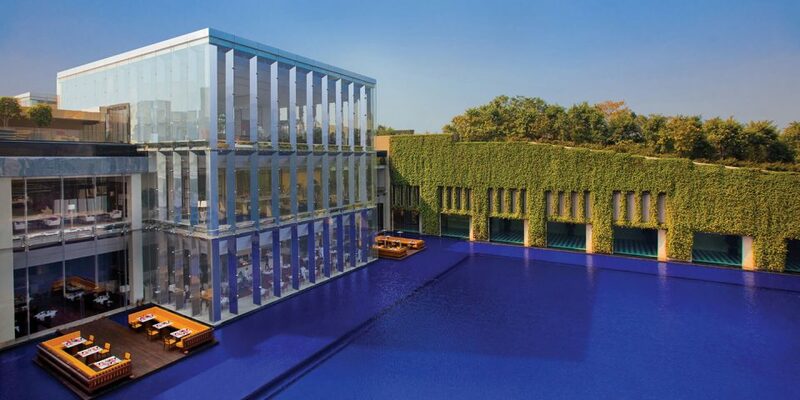 The Oberoi Gurgaon prides itself on ‘height, light and space’, and this mantra is apparent throughout the design of the property, with striking architectural features such as a huge blue reflection pool and acres of glass, mirrors and dramatic flower arrangements. The outdoor swimming pool is larger the Olympic sized. 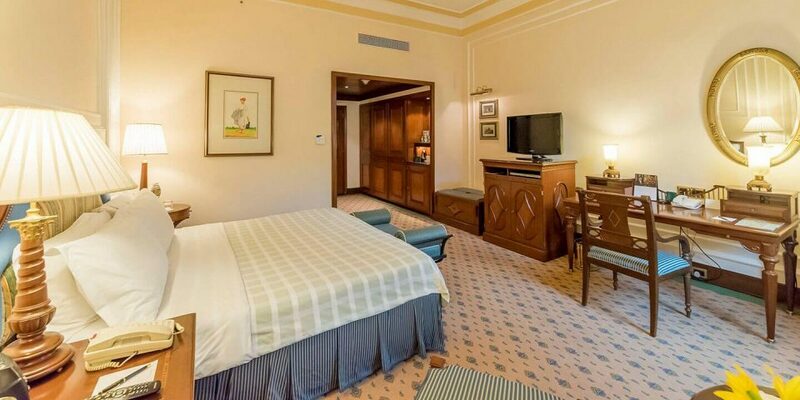 Rooms and suites are categorised into the Deluxe Room, Luxury Room, Premier Room, Deluxe Suite, Luxury Suite, Premier Suite, and Presidential Suite. 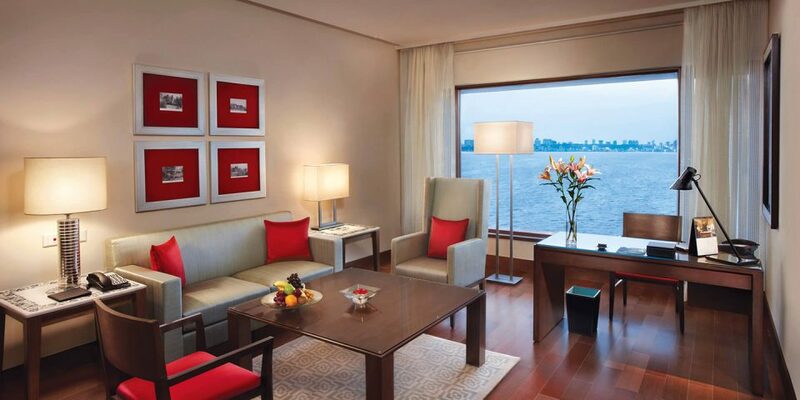 For those staying at several Oberoi hotels during their luxury India tour, we’d recommend the Premier Room to ensure a consistent standard of comfort and space. 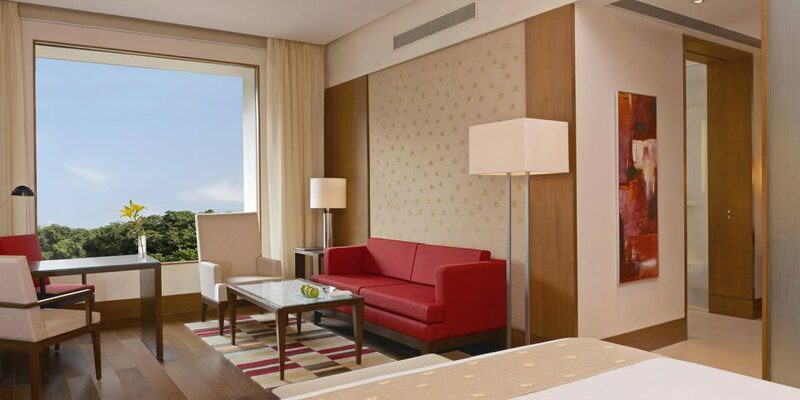 The Deluxe Room is more economical for those spending just a few hours before boarding a late night flight. 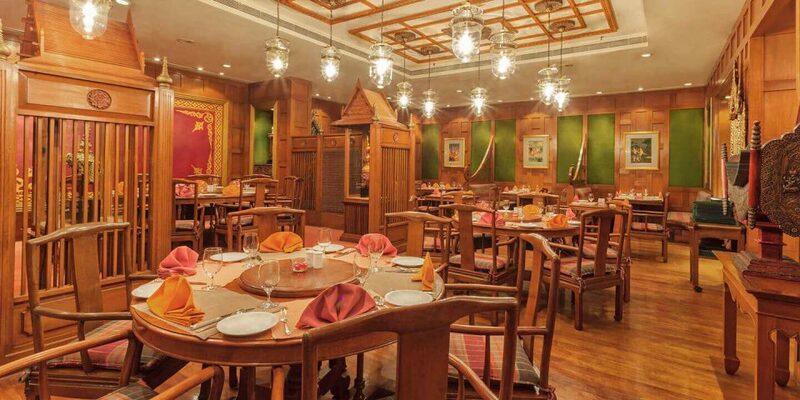 Whichever room you choose, do make sure you experience dinner at Amaranta, whose speciality is a modern take on traditional Indian sea food dishes. 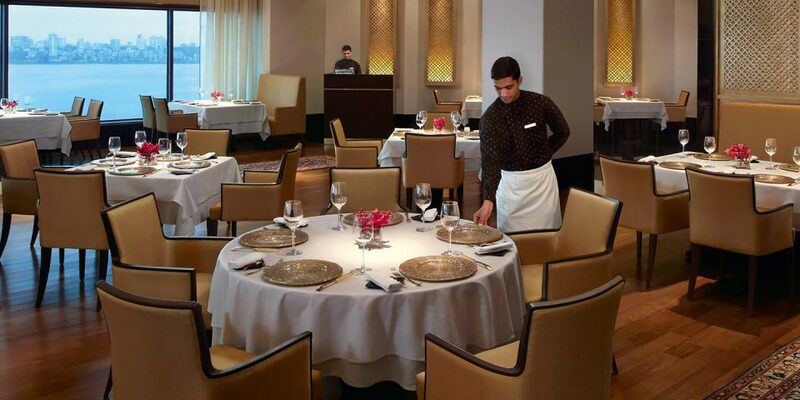 The menu represents nine coastal regions (from Gujarat to Maharashtra, Goa to Karnataka). 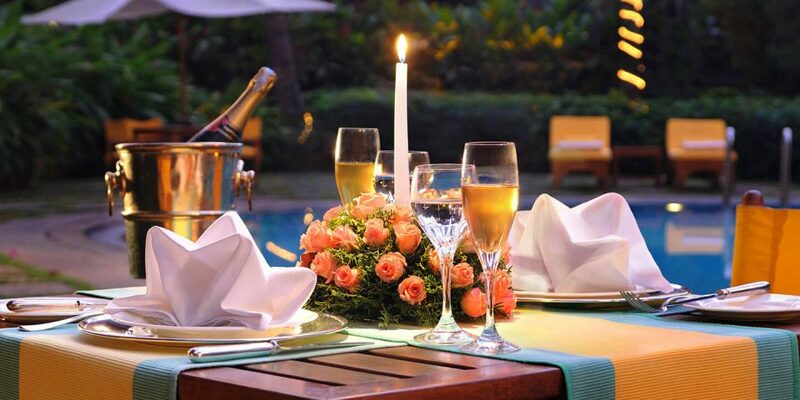 As a Preferred Partner of the Oberoi hotels, we’re delighted to include a complimentary glass of champagne for each diner to enjoy with your meal. 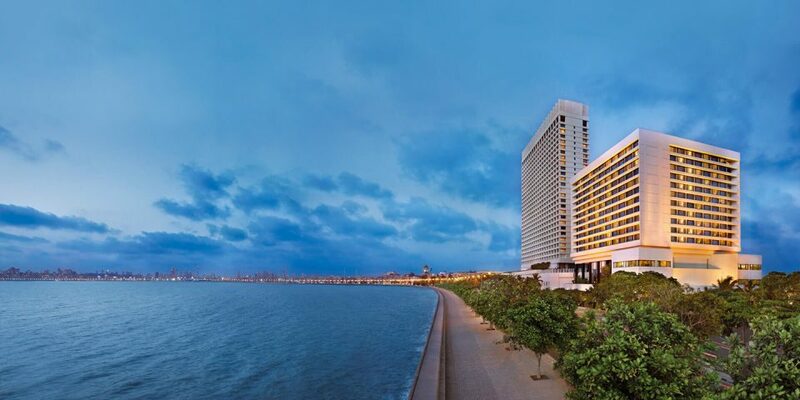 Located to one end of Mumbai’s famous Marine Drive, guests of The Oberoi, Mumbai are assured magnificent views of the city and the Arabian Sea. 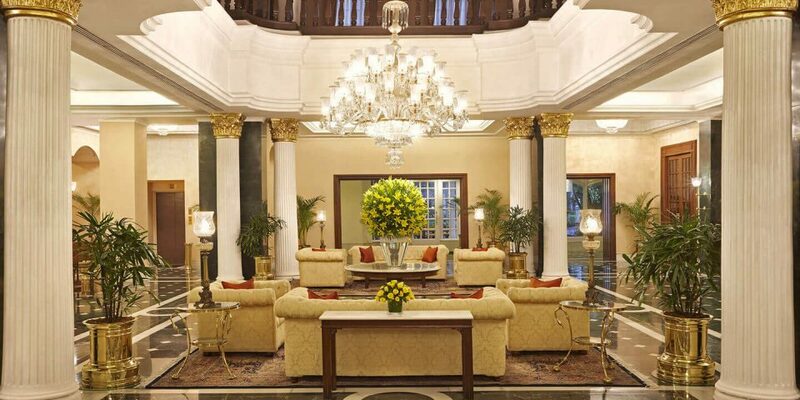 It’s considered one of the (if not the) best luxury hotels in Mumbai. Rooms and suites are superbly equipped and decidedly spacious for this busy metropolis, many offering excellent sea views. 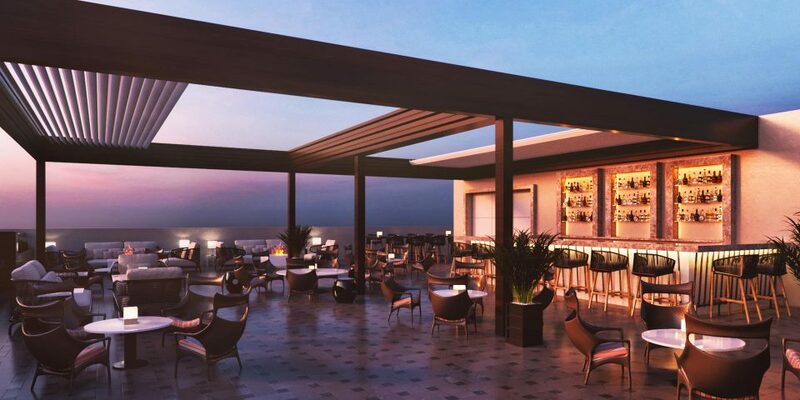 We’d recommend a dip in the rooftop swimming pool to cool off after a day of sightseeing, or a drink in the bar overlooking the bay in the evening; it’s a favourite with local jazz aficionados. 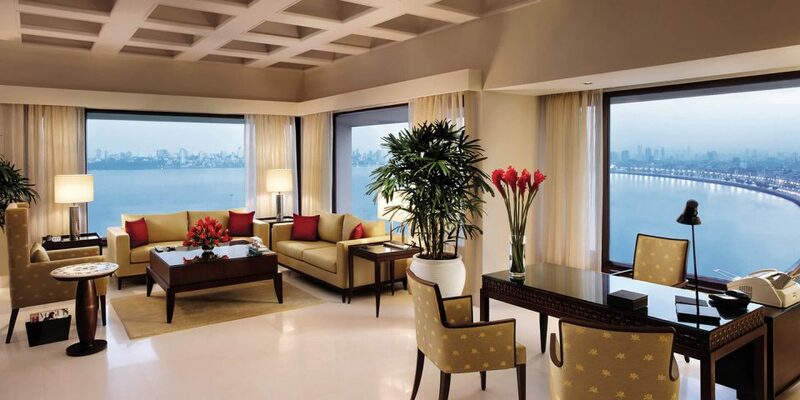 Rooms and suites are categorised into the Deluxe Room, Luxury Room, Premier Ocean View Room, Executive Suite, Executive Ocean View Suite, Deluxe Suite, Premier Suite, and Presidential Suite. 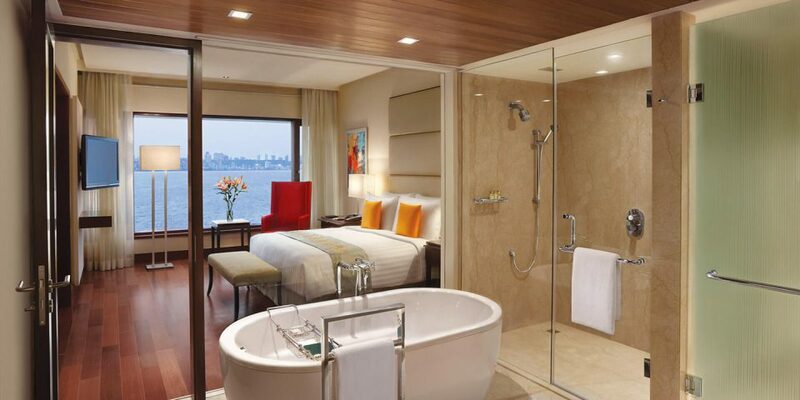 We’d recommend the Executive Ocean View Suite for the ultimate luxury experience in Mumbai: it boasts a king-sized master bedroom, separate living and dining area, and a spacious bathroom, spreading across 800 sq ft in total. 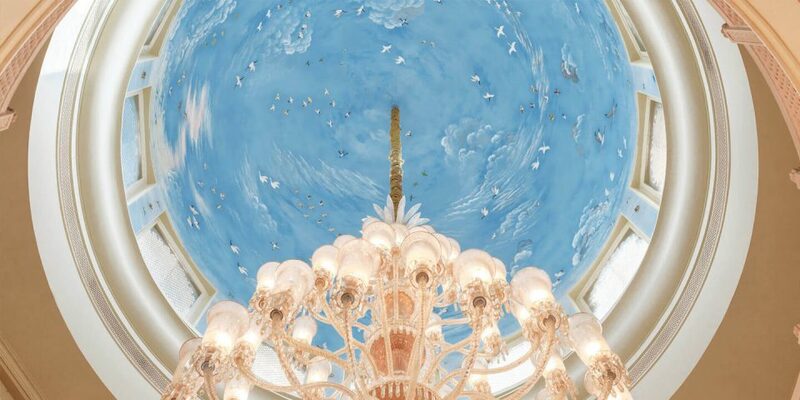 As you walk in, the bright sea view will take your breath away. 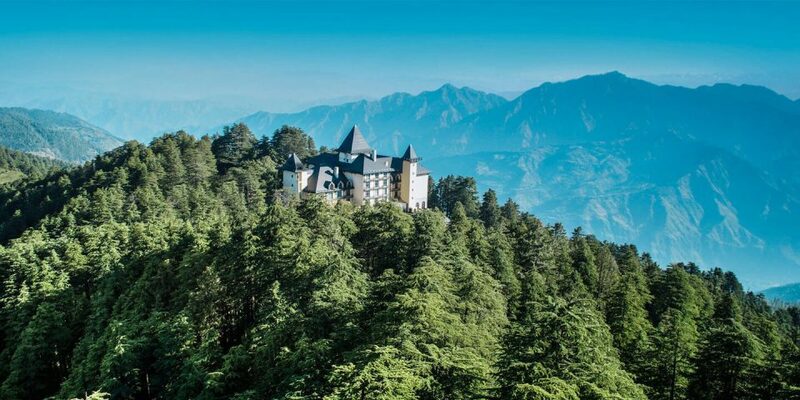 Situated 8000 feet above sea level, the Oberoi Wildflower Hall is perched high in the cedar forests with a bird’s eye view of the beautiful surrounding valleys. 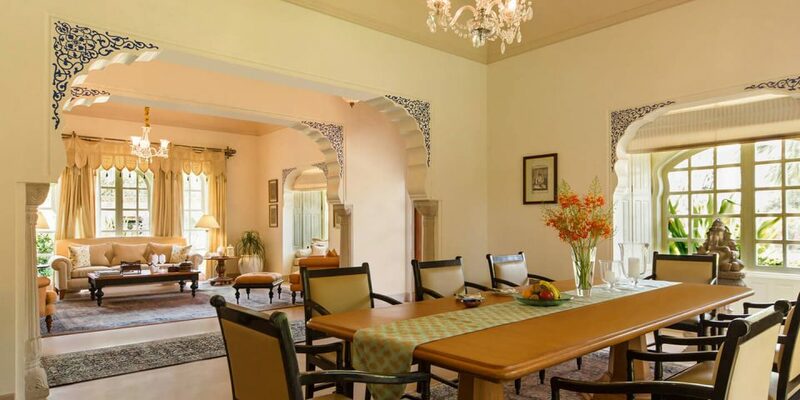 It dates back to the days of the British Raj when it was the former abode of Lord Kitchener, and so exudes colonial glamour and charm. 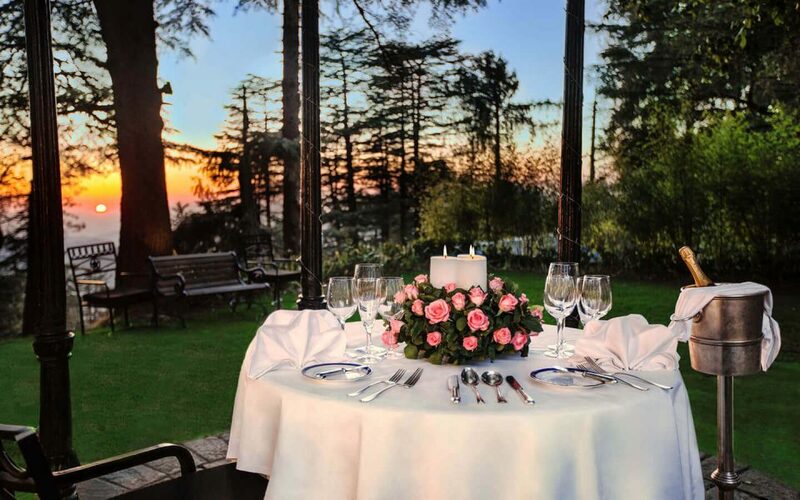 The Oberoi Wildflower Hall is the best luxury hotel in Shimla and is a wonderful retreat from the bustle of Delhi and Agra. It makes an ideal base from which to explore the sights (such as the Viceroy’s House or a ride on the much-loved Toy Train), but equally has lots to offer in and around the property; including mountain biking, nature walks or white-water rafting. Lounging by the pool with a good book is heavenly and you’ll be extremely well looked after as staff bring you a tray of fruit, water and sun cream. 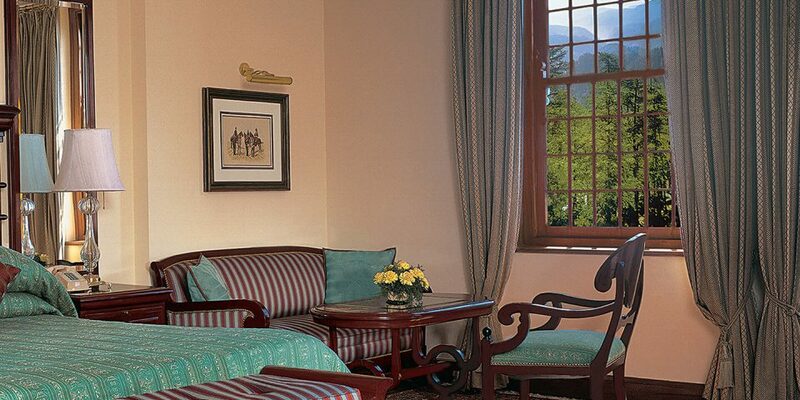 Rooms and suites on offer include the Deluxe Garden View Room, Premier Valley View Room, Premier Mountain View Room, Deluxe Suite, and Lord Kitchener Suite. 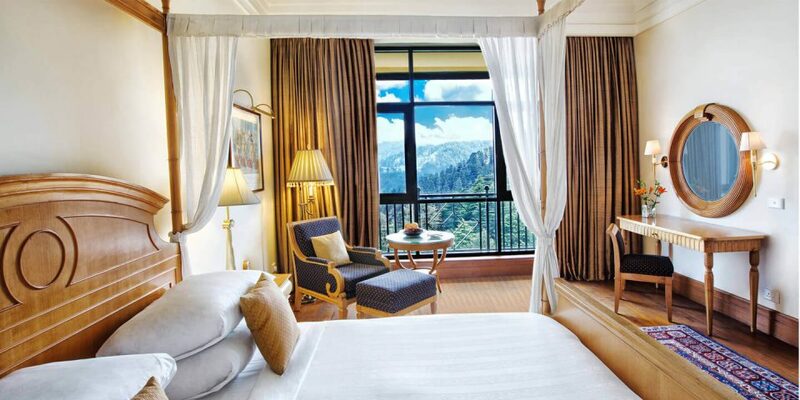 We love the Premier Mountain View Room, where guests can enjoy stunning views of the Himalayas and the sacred Gangotri; the origin of the holy river Ganges. 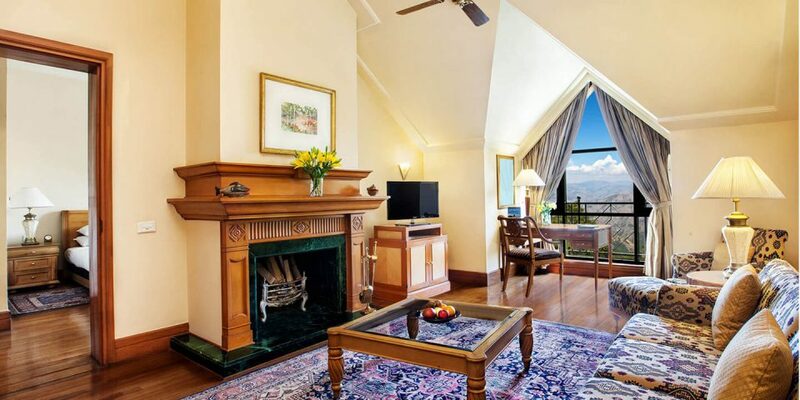 Inside the room is just as beautiful as its view, boasting Victorian-style décor with rich upholstery, king-sized two poster bed, colonial-style brass fittings and Spanish-marble bathtub. 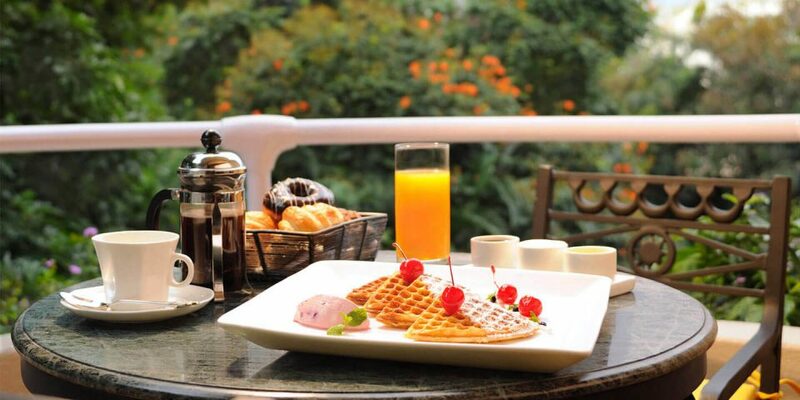 We’d recommend rising early for ‘Breakfast on the Wild Strawberry Trail’ – an hour long walk offering stunning views of the lush cedar forest, culminating with breakfast served at the Oberoi’s delightful picnic spot. Later in the day indulge in ‘Romance of Wildlflower Hall’; a rejuvenating couples massage using ancient Ayurvedic techniques to relieve tension and stimulate energy centres around the body. 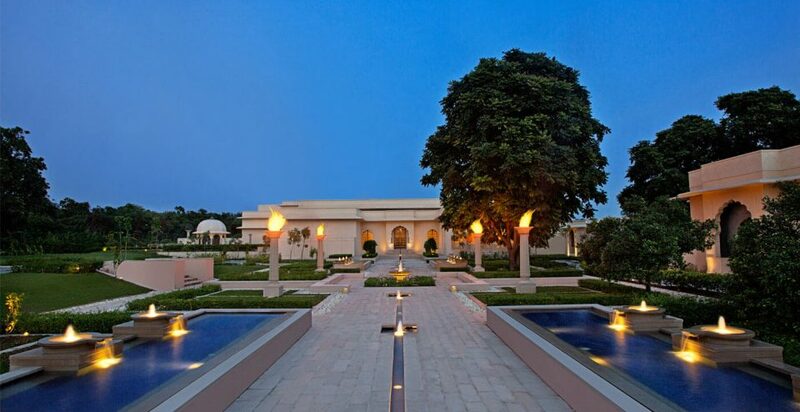 The newest addition to the Oberoi group of hotels, the Oberoi Sukhvilas in Chandigarh is the Oberoi’s first dedicated spa resort, with a 12,000 foot tranquil, light-filled spa dedicated to Ayurvedic, Eastern, Western and signature Oberoi massage therapies, hydrotherapy, steam and infrared sauna, a Turkish hammam scrub or a Roman tepidarium. 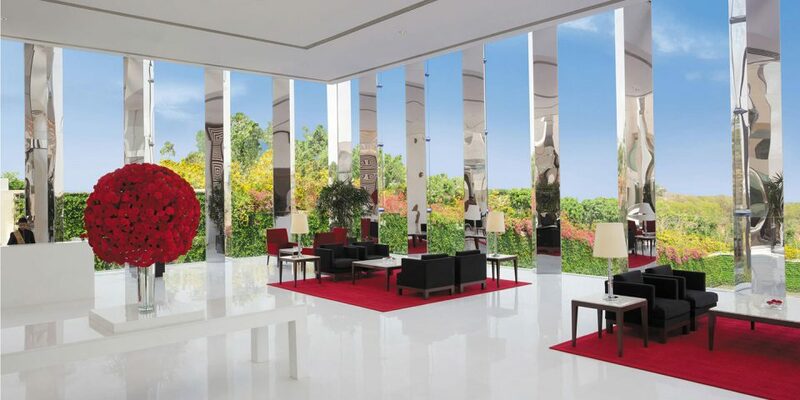 Surrounded by 8000 acres of lush, green forests at the foothills of the outer Himalayas, the Oberoi Sukhvilas in Chandigarh is an ideal launching point up to Shimla. Accommodation ranges from the Premier Room, to the Royal Tent, Royal Forest Tent with Private Pool, Luxury Villa, and Kohinoor Villa. 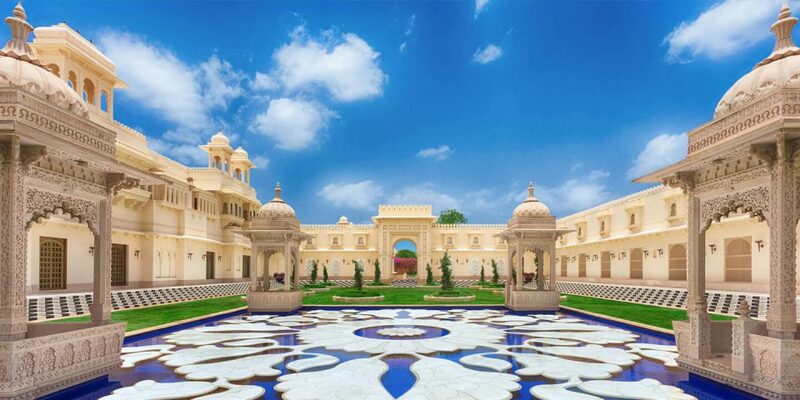 All rooms, tents and suites are tastefully inspired by Rajput and Mughal architecture, and equipped with state of the art modern technology – including an iPad in the room from where you can control the lighting, check your bill or summon the butler! 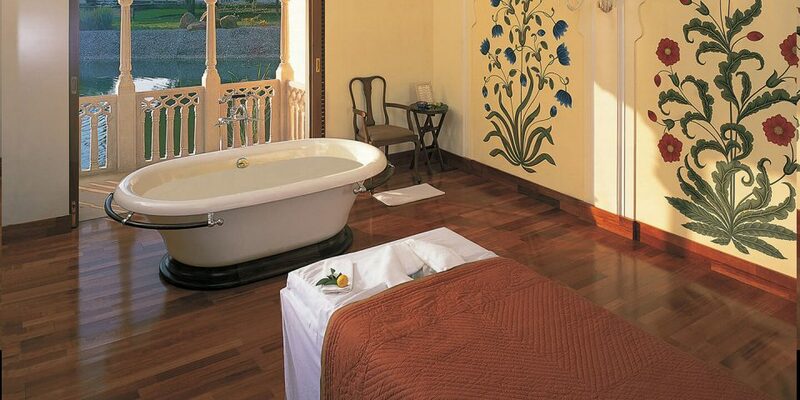 Our favourite room at the Oberoi Sukhvilas is the Premier Room. Decidedly spacious at 700 square feet, each Premier Room is nestled around a centre courtyard filled with a trickling fountain and mature trees. Inside boasts a king sized bedroom, a walk-in closet, vanity table, and spacious marble bathroom with his-and-hers wash basins. The free standing bathtub offers views of a small, private courtyard, as well as a wall-mounted television. 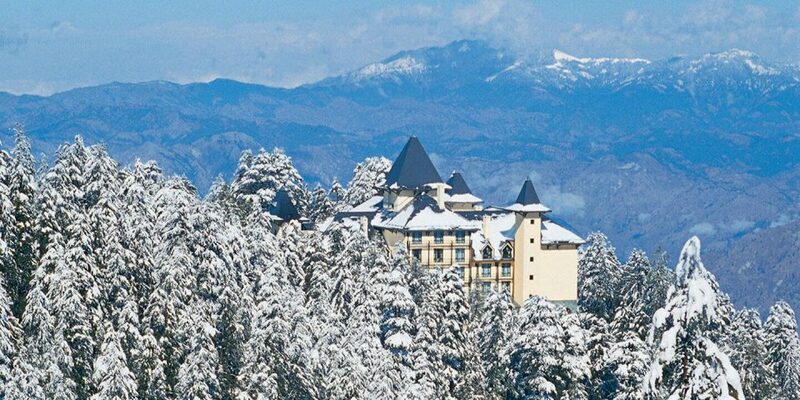 Guests may be tempted to spend just the one night as a stepping stone up to Shimla, though if your schedule allows we’d strongly suggest two, allowing you to take advantage of the superb spa facilities and to really relax and unwind. 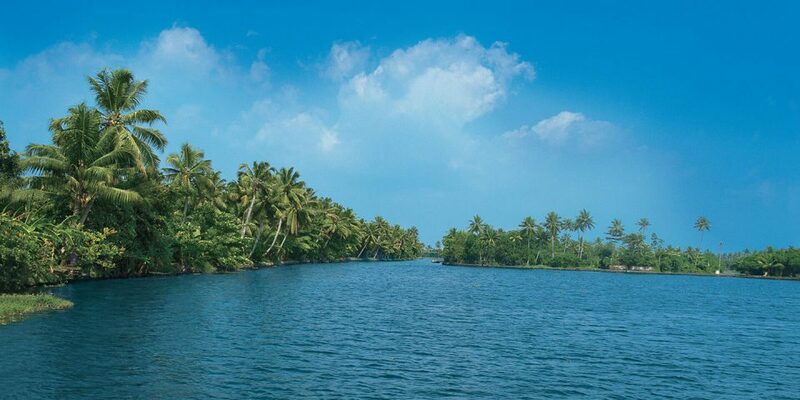 Why we love it: Soak up the charm and tranquillity of Kerala’s backwaters whilst ensuring truly comfortable and luxurious amendities. 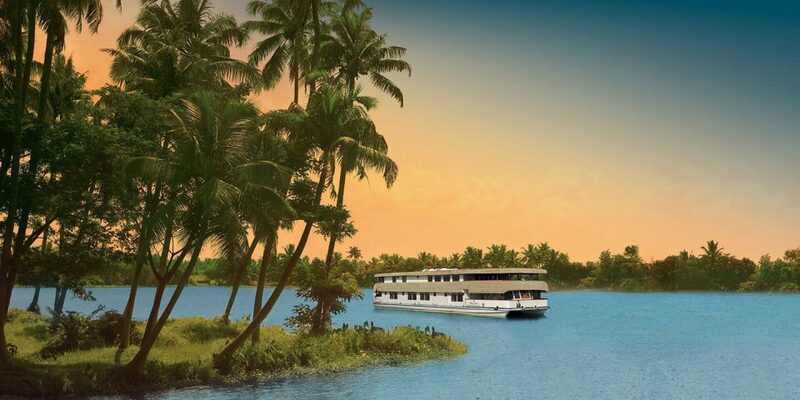 Embark on a luxurious journey through the tropical backwaters of Kerala, on the MV Oberoi Vrinda. This exclusive cruiser offers eight luxury cabins, each with its own en-suite bathroom and window overlooking the lush waterways. Guests can expect picture-perfect views of rice boats, village life and verdant greenery. 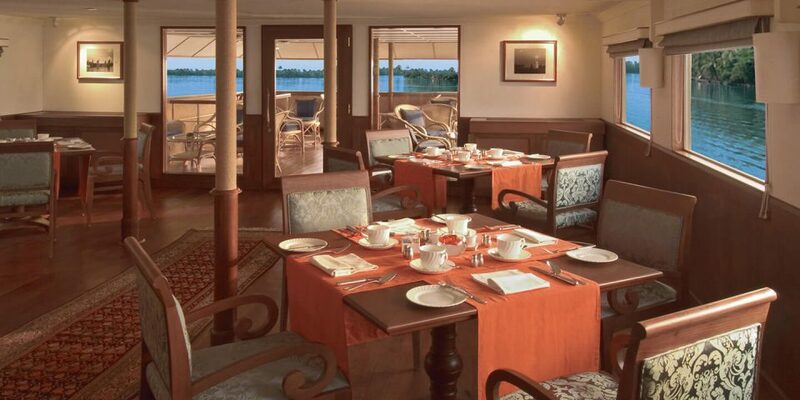 As the Oberoi Vrinda cruises through a narrow network of canals and lakes, you’ll experience a way of life unique to this corner of the world – seeing children travelling from school in a narrow canoe, local ladies washing pots at the side of the water, and fishermen netting their daily meal in the shallows. Villages, temples and churches are built along the banks and the area is a haven for wildlife. 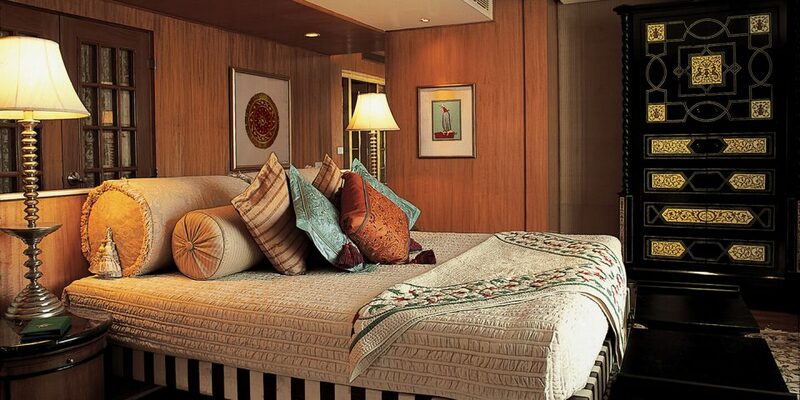 All this paired with exceptional Oberoi service makes this intimate cruise an unforgettable experience. Why we love it: central location within easy access into and out of the city. 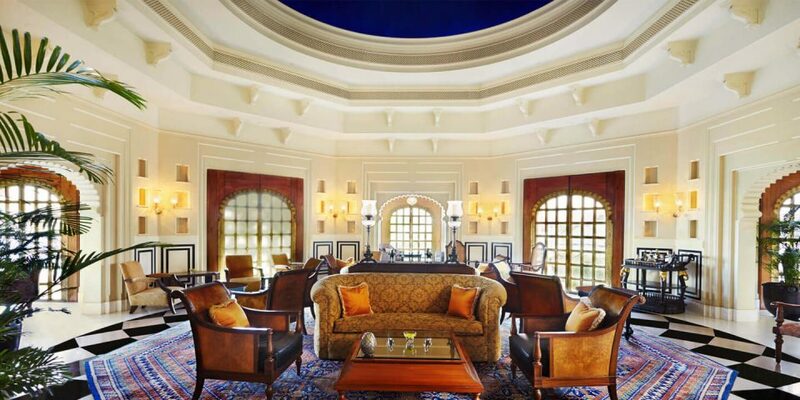 The swanky The Oberoi, New Delhi is perfect for those who’re seeking excellent service with a range of facilities and is one of the capital’s best luxury hotels. 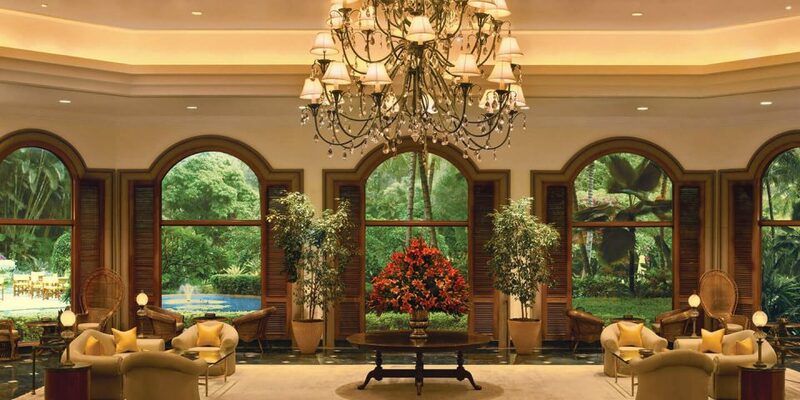 Having recently re-opened after an extensive two-year renovation, the Oberoi boasts the most luxurious rooms in the capital and state-of-the-art clean air technology, as well as an iPad in the room from which you can control lighting, blinds, the television; call the butler (available 24 hours a day); or order in-room dining. 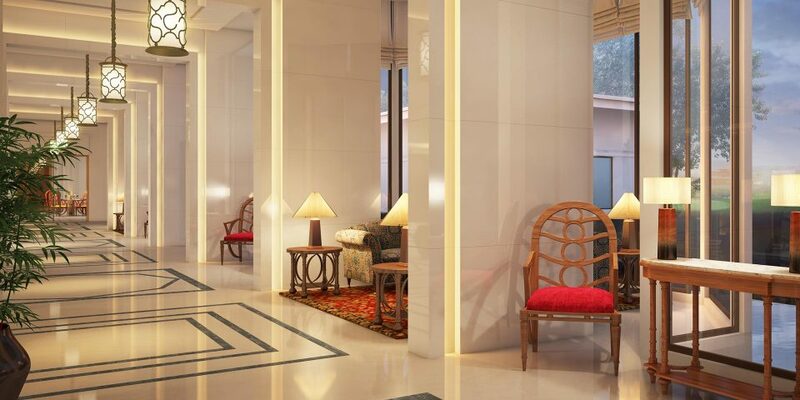 The newly refurbished hotel is divided into 220 generously-sized rooms and suites, all inspired in design by Sir Edwin Lutyens’ New Delhi architecture, adorned with teak-wood floors, walk-in closets and luxurious Italian marble bathrooms. 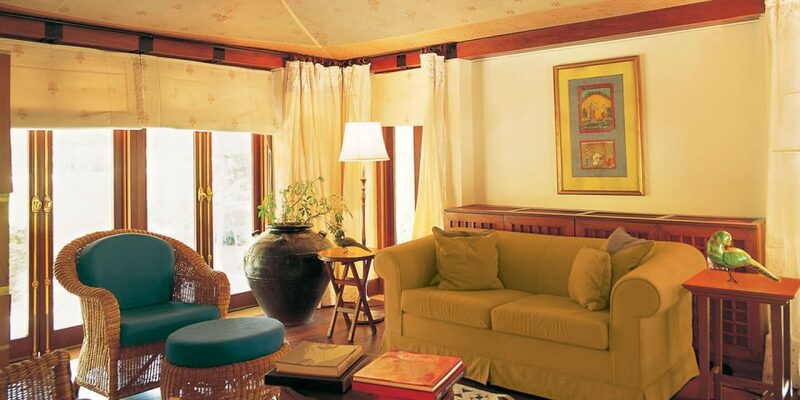 The large windows provide lots of light and a fabulous view of Delhi Golf Course or the historical Humayun’s Tomb. A number of wining and dining outlets include the old favourite threesixty°, a multi-cuisine all day dining venue; Omya, an Indian-speciality fine-dining restaurant; Baoshan, offering innovative Chinese; Cirrus9, the rooftop bar boasting sweeping views of the city; Enoteca, the temperature-controlled wine cellar with specially curated fine wines and champagnes; the new Cigar Lounge; and The Oberoi Patisserie & Delicatessen. 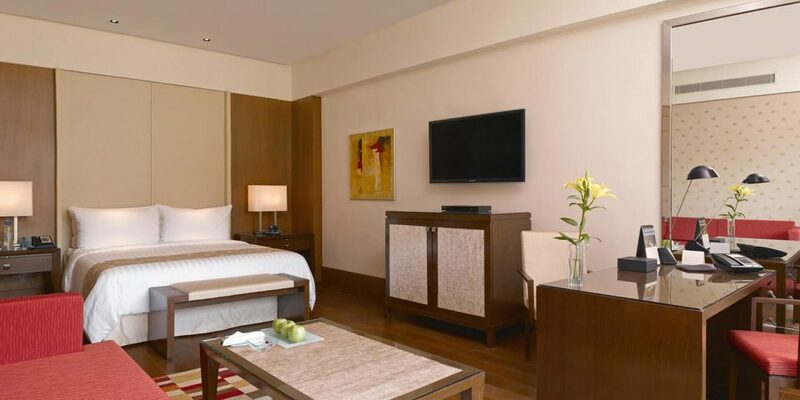 Rooms begin with the entry level Deluxe Room, followed by the Luxury Room, Premier Room, and Premier Plus Room. 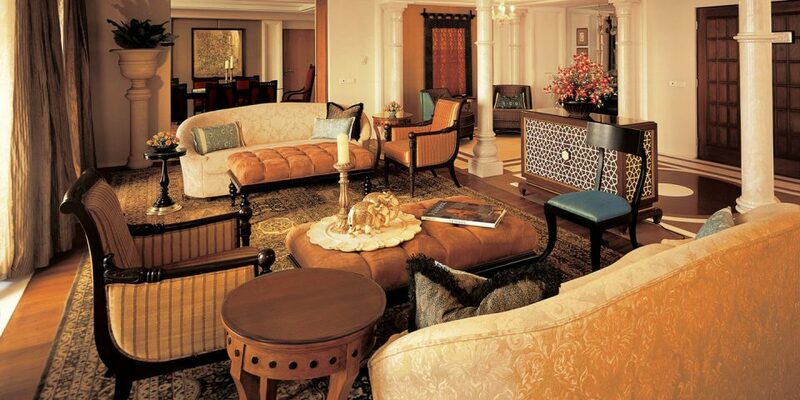 Suites continue with the Oberoi Suite, the Deluxe Suite, the Luxury Suite, and – lastly – the Kohinoor Suite. 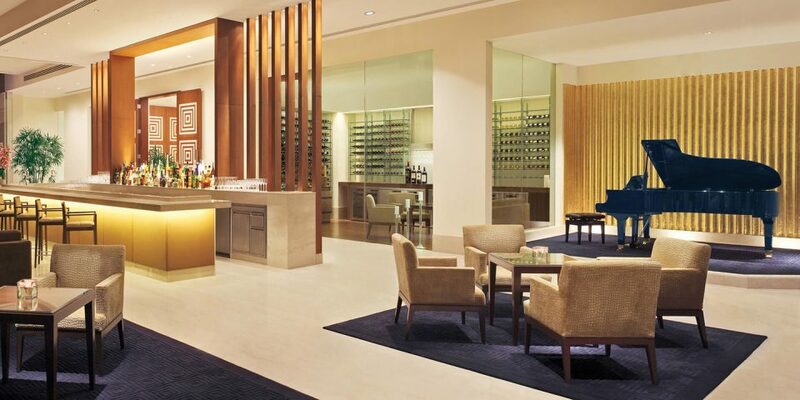 Our favourite is the Premier Plus Room, offering 550 sq ft of space and 24-hour lounge access. 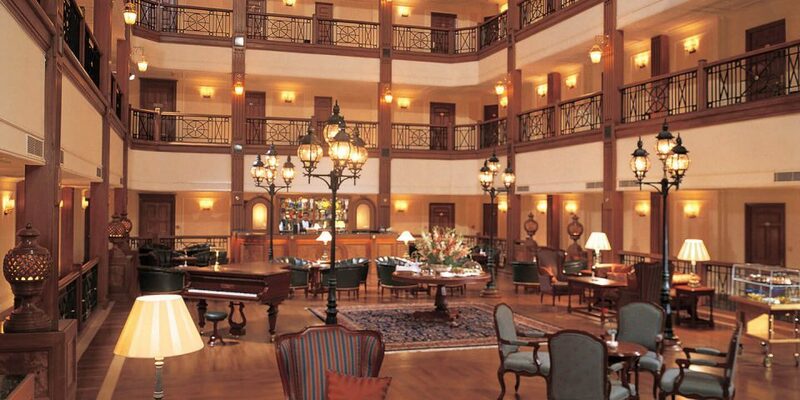 The charming Oberoi Maidens hotel dates back to the early 1900s, making it one of Delhi’s oldest hotels. It’s retained much of its colonial charm and architecture and boasts a large collection of photographs from the Raj period. 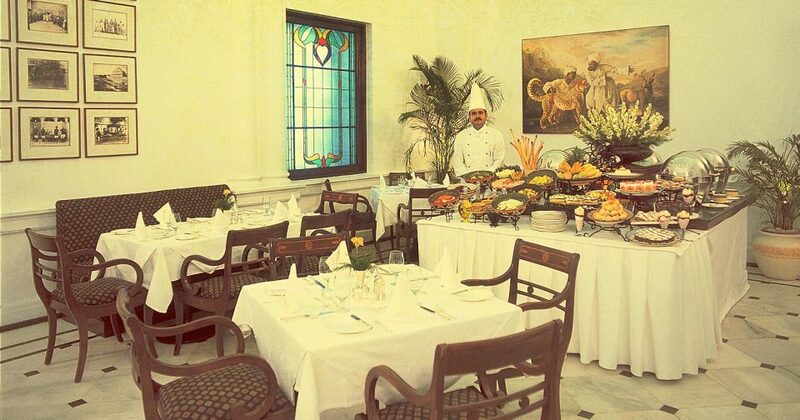 Maidens Hotel is one of Delhi’s oldest hotels, built in the early 1900s on the edge of the Old City. 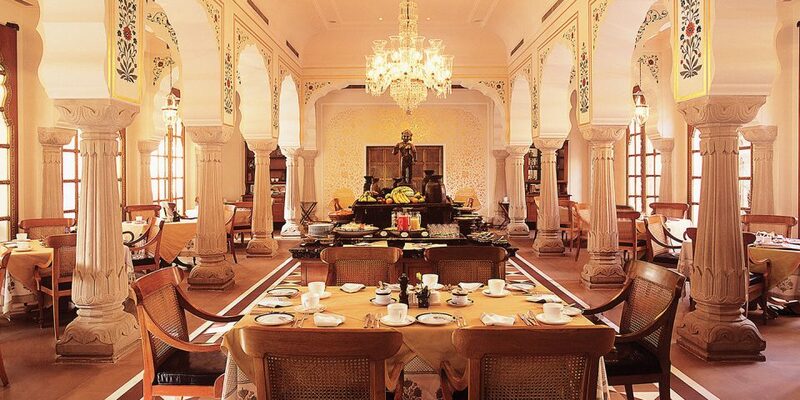 It exudes colonial charm and boasts an interesting collection of Raj-period photographs. 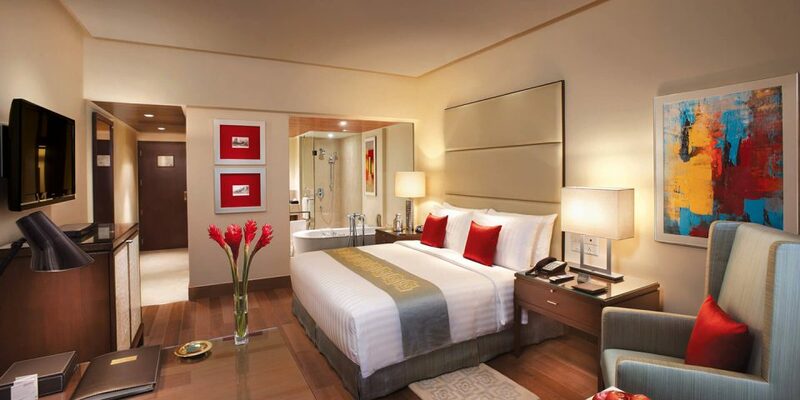 Compared to most hotels in Delhi, the guest rooms are extremely spacious and the high ceilings are unique. 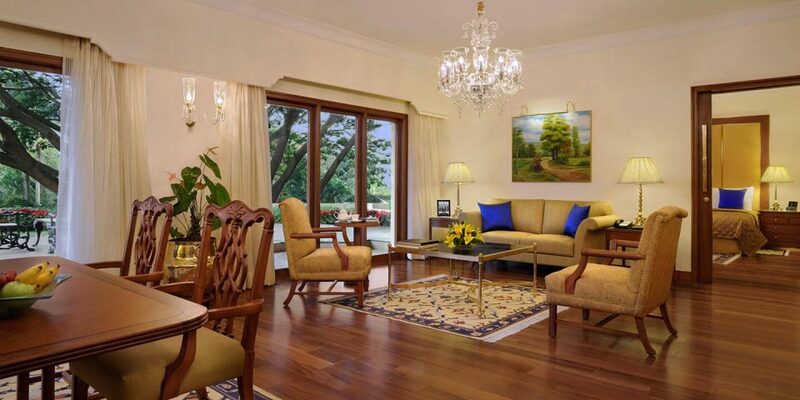 Nestled amidst eight acres of manicured lawns, shaded by mature trees and a sparkling swimming pool, the Maidens is in a quieter area of Delhi but remains within easy access to its sights. 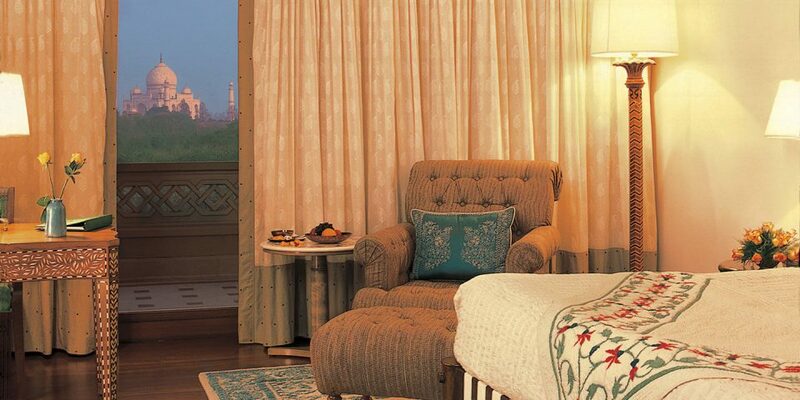 The Maidens’ 55 rooms are divided into Heritage Rooms, Premier Rooms, Deluxe Suites, Luxury Suites, and the Lutyen’s Suite. 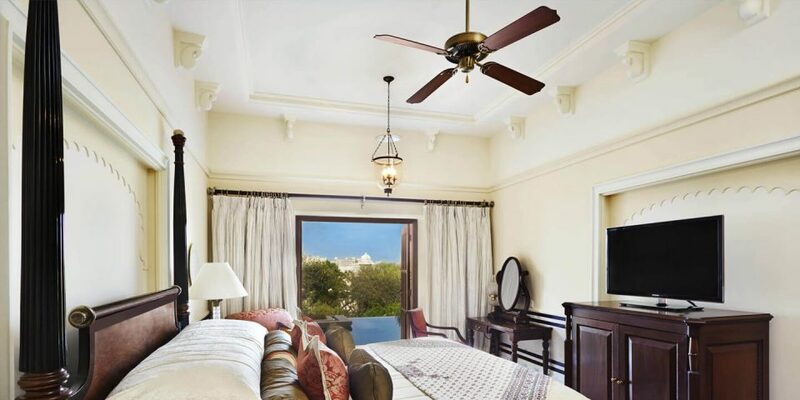 We’d recommend the Deluxe Suite: boasting two bay windows, a spacious bedroom, drawing room, walk-in wardrobe and Italian-marble bathroom, all spread over 800 square feet, the Deluxe Suite is an oasis of light and space to return to after a busy day of sightseeing in India’s capital city. 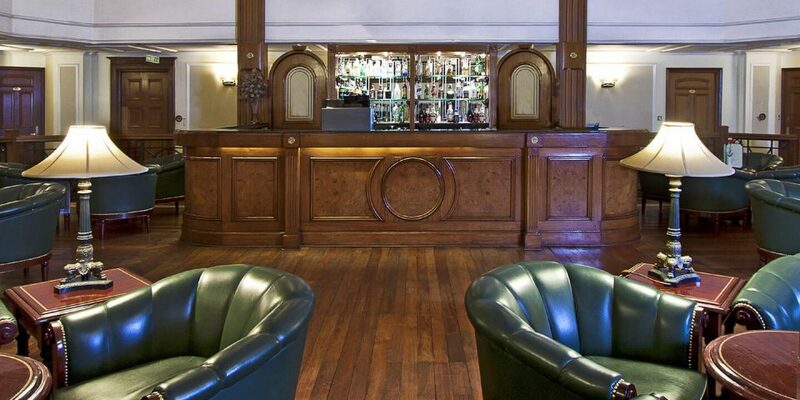 We’d recommend a drink in the Cavalry Bar, followed by an alfresco dinner at the Garden Terrace. 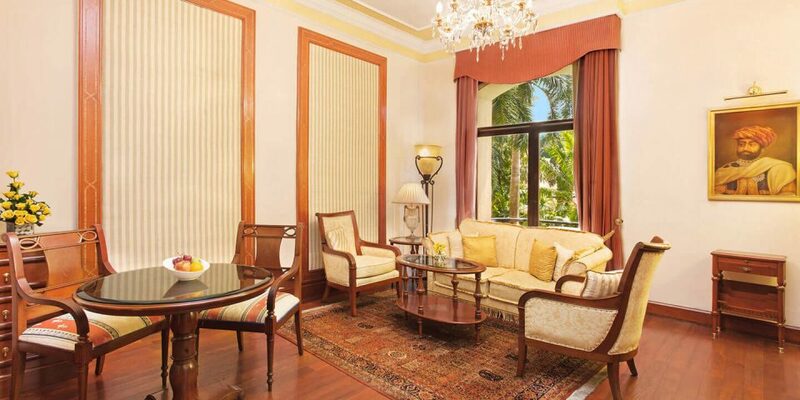 Affectionally known as the Grand Dame of Kolkata, The Oberoi Grand has an undeniable sense of location, nestled amongst the bustling markets and cultural landmarks of Kolkata (formerly Calcutta). 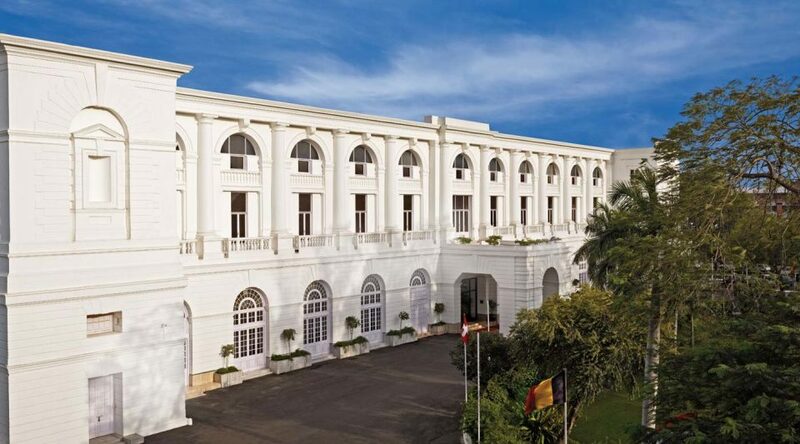 Dating back to the late 19th century, The Oberoi Grand showcases a neo-classical façade, fishtailed palm trees and a grand pillared entrance. 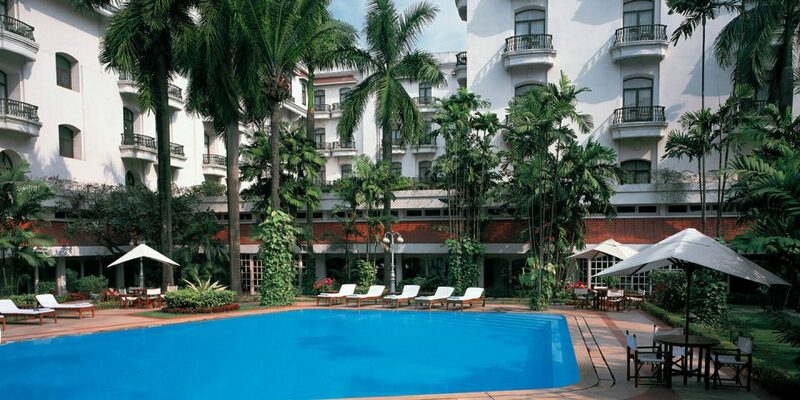 The central garden is a lovely spot to relax in the sun or cool off in the palm-fringed pool. 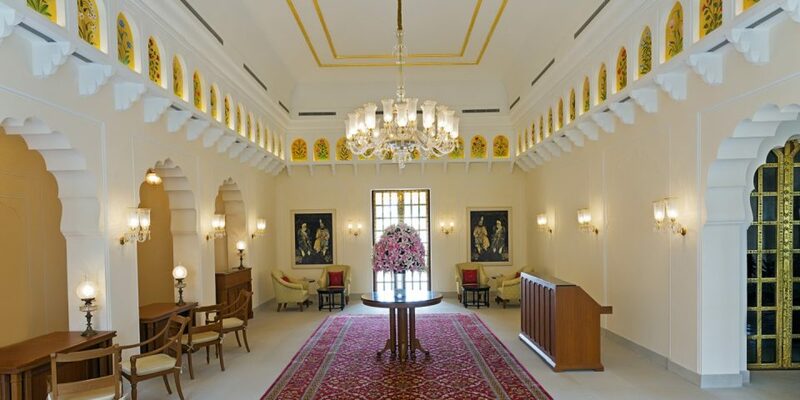 Although now somewhat dated in style, all rooms and suites at The Oberoi Grand are elegant, gracious and ensure a supremely comfortable stay. 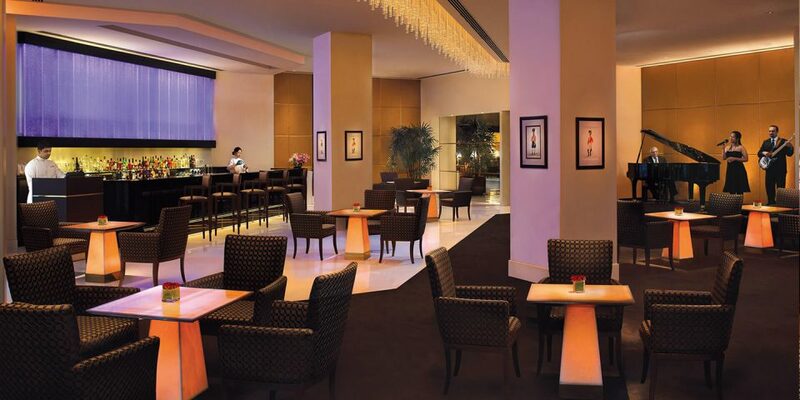 Combined with the Oberoi’s signature attentive-yet-unobstusive service, The Oberoi Grand remains our favourite luxury hotel in Kolkata. 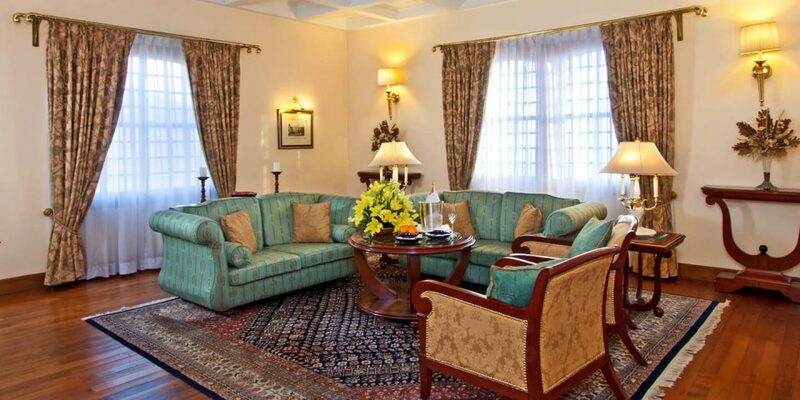 Rooms on offer include the Deluxe Room, the Luxury Room, Premier Room, Premier Room with Balcony, Executive Suite, Deluxe Suite, Luxury Suite, and Presidential Suite. We’d recommend the Classic Suite, where from the comfort of your armchair or balcony you can soak up a view of the gardens and enjoy the bird song. 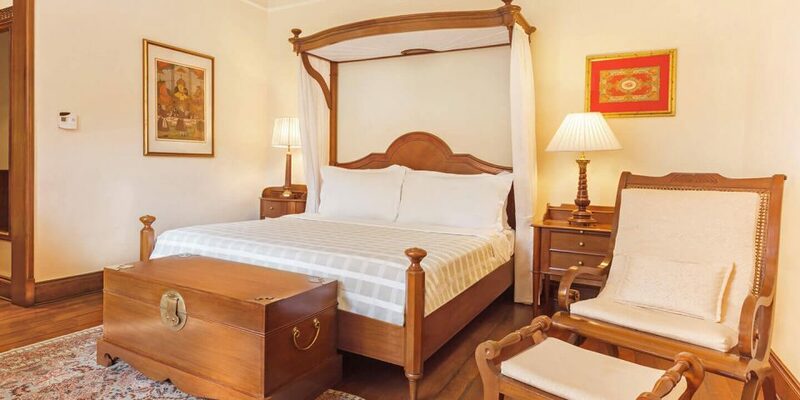 The Classic Suite is spread over 500 square foot, boasting a separate living and dining area along with the king-sized bedroom and spacious bathroom. 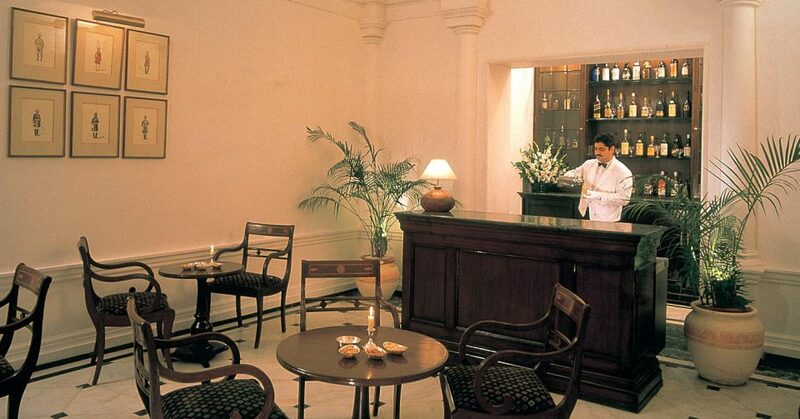 The décor is classic and colonial; perfect for Kolkata, the former capital of the British Raj in India. 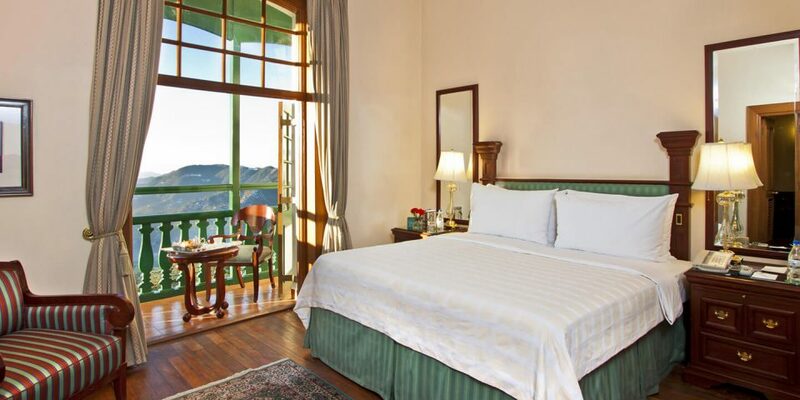 Dating back to the late 19th century, the Oberoi Cecil was then the most exclusive hotel in Shimla, known for its fabulous ballroom dances and fashionable clientele. 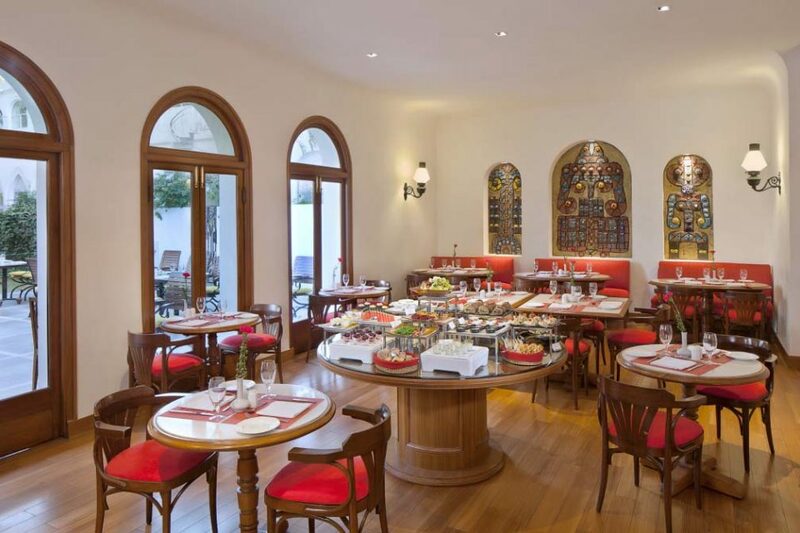 Over 130 years later, the Oberoi Cecil has been extensively renovated though remains true to its history and retains its colonial charm. 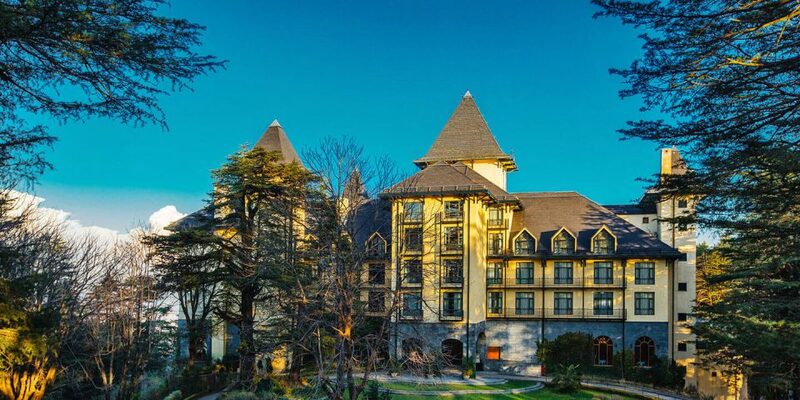 Nestled at one end of the bustling Mall thoroughfare, the Oberoi Cecil is an ideal base from which to explore the sights of Shimla, including the Vice Regal Lodge. It also offers magnificent views across the valley, taking in mountains, forests and ancient monasteries. 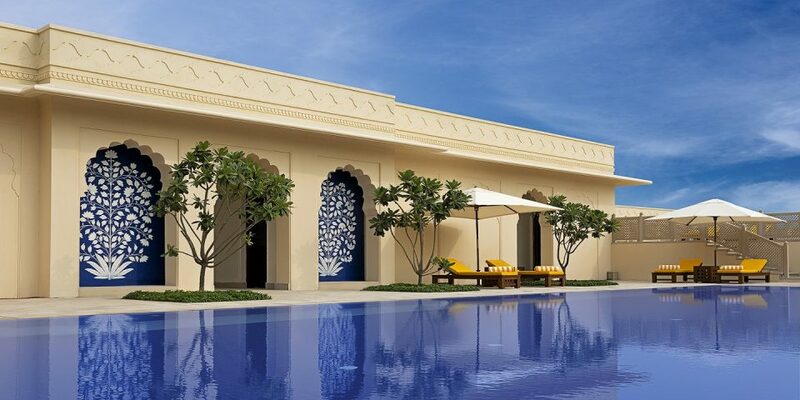 The indoor swimming pool is a highlight, as is the Oberoi spa offering a wide range of therapies and massages. Rooms begin with the Deluxe Room, followed by the Luxury Room, Premier Valley View Room, Deluxe Suite, and lastly the Luxury Suite. 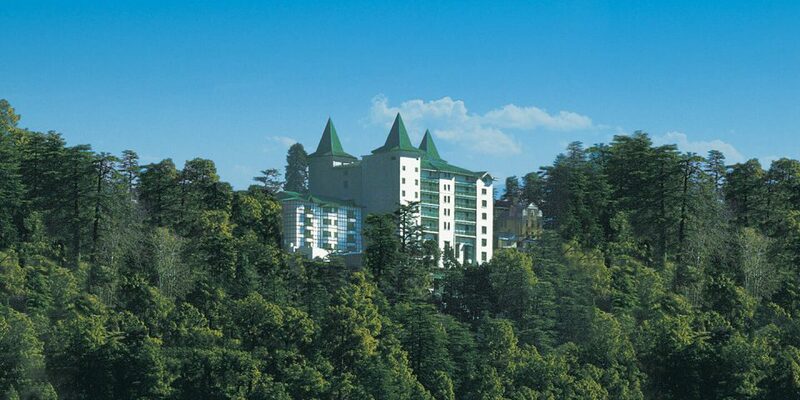 We’d recommend the Premier Valley View Room, from where you can enjoy an uninterrupted panorama of the spectacular Shimla valley, blanketed in cedar trees. Relax in your armchair, taking in dramatic sunrises, sunsets, and everything in between. 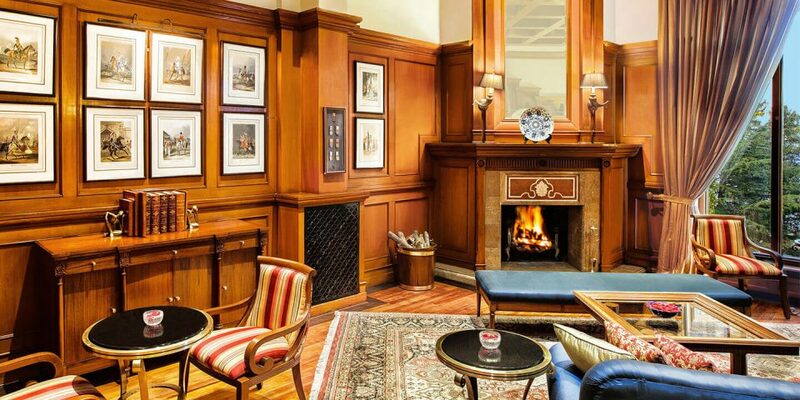 We’d recommend the Cocktails in Cedar experience to imagine you’ve stepped back in time to the days of the Raj, sipping cocktails and snacks under lofty Cedar branches whilst warming your toes besides a roaring fire. 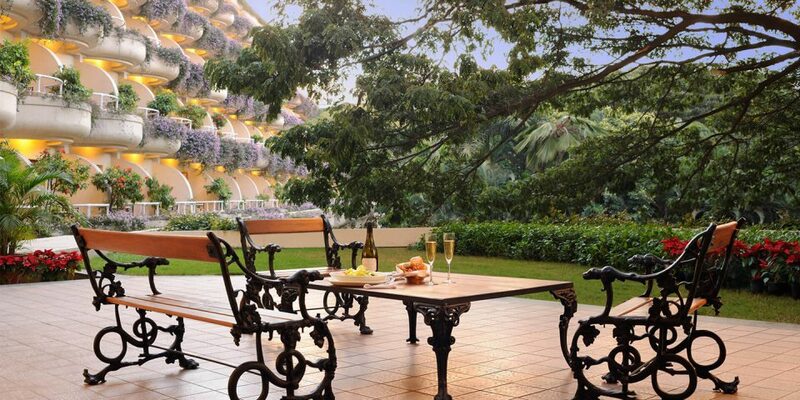 Nestled in the heart of the garden city of Bengaluru (formerly Bangalore), The Oberoi is built around a 120 year old rain tree that stands majestically at its centre; focal point of the hotel’s vast award-winning gardens. 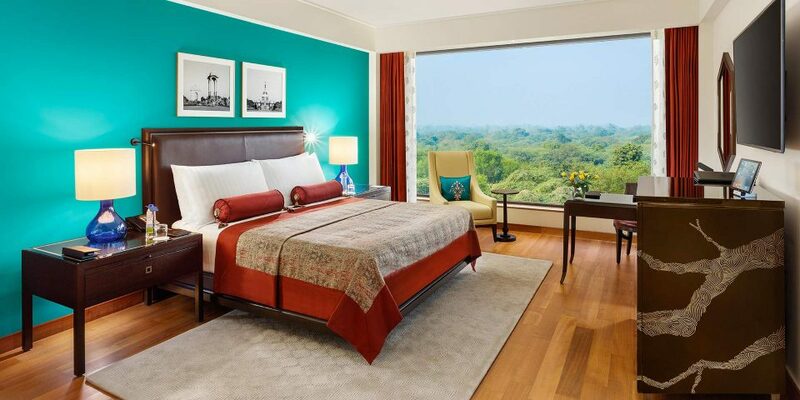 The Oberoi is the only luxury hotel in Bangalore to offer garden views from all 160 of its rooms, including the Deluxe Room, the Luxury Room, Premier Room, Deluxe Suite, Executive Suite, and the Presidential Suite. 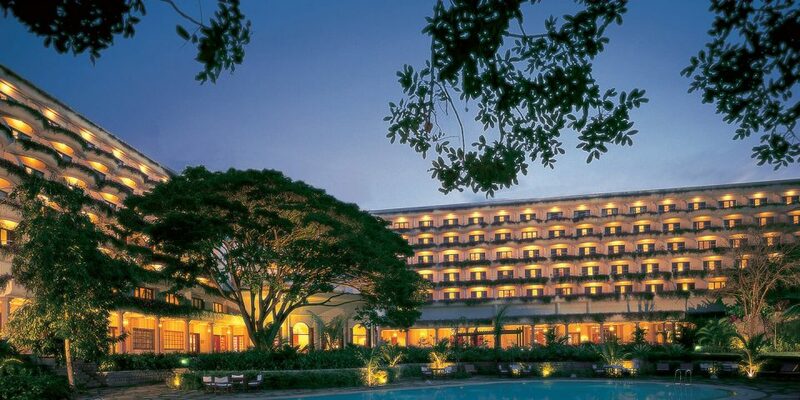 Despite being within convenient access of Bangalore’s shopping districts (the city if a treasure trove of Indian crafts and textiles), The Oberoi is seemingly a million miles away, enjoying all the peace and tranquillity of a tropical setting. 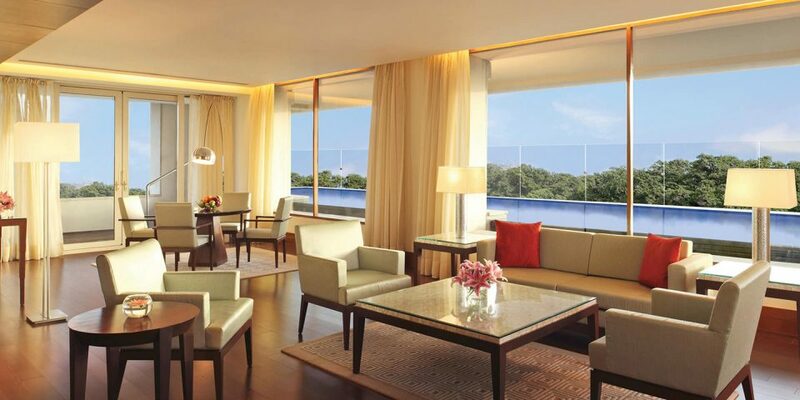 We’d recommend the Premier Room, though all rooms and suites at The Oberoi, Bengaluru boast their own private balcony, exclusive Oberoi E’nhance technology (an iPad that allows you complete control over everything from in-room dining to entertainment) and high speed WiFi. 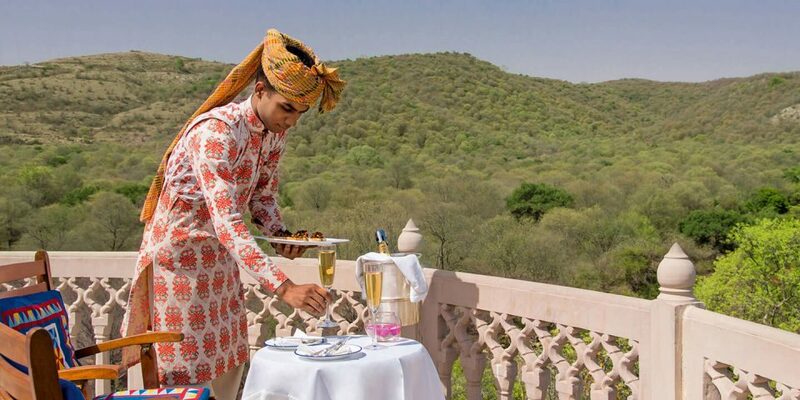 Pairing stays at the elegant Oberoi hotels with our experienced guides, dedicated drivers and seamless service is an award-winning combination for the ultimate in luxury. 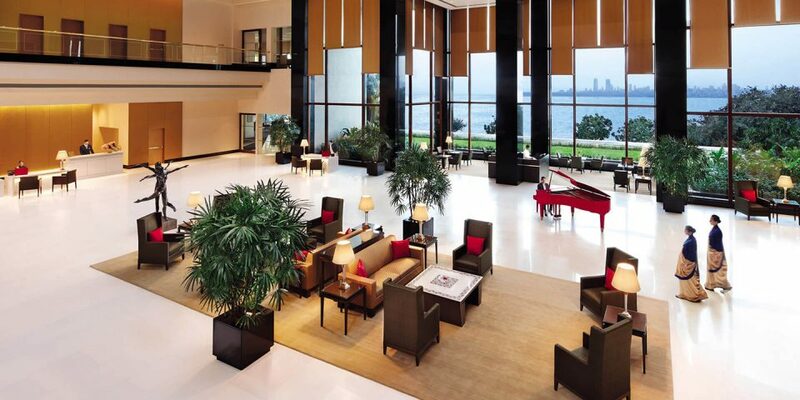 As a preferred partner of the Oberoi group, we have years of experience and valued relationships. We know the ins and outs of the hotels as well as their destinations, and how best to piece them together into a fabulous itinerary. All our tours are tailormade to our guests tastes and requirements, so every detail of your journey with us will be designed around you. 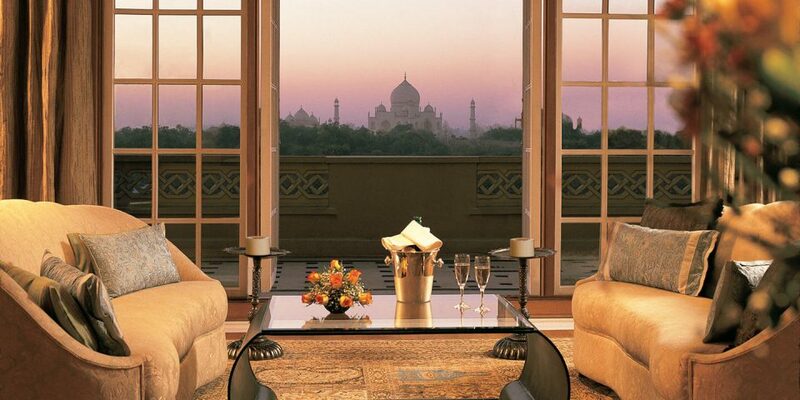 To get you going however and to serve as inspiration, here as a few of our sample luxury India tours with Oberoi hotels. These have been carefully designed to reflect the routes, hotels and experiences that we and our guests have loved in the past and continue to do so today. If you don’t quite find what you’re looking for here, do let us know – just because it’s not here doesn’t mean we can’t do it, and as specialists in private guided tours of India we’re an ideal match to bring your ideas to life. 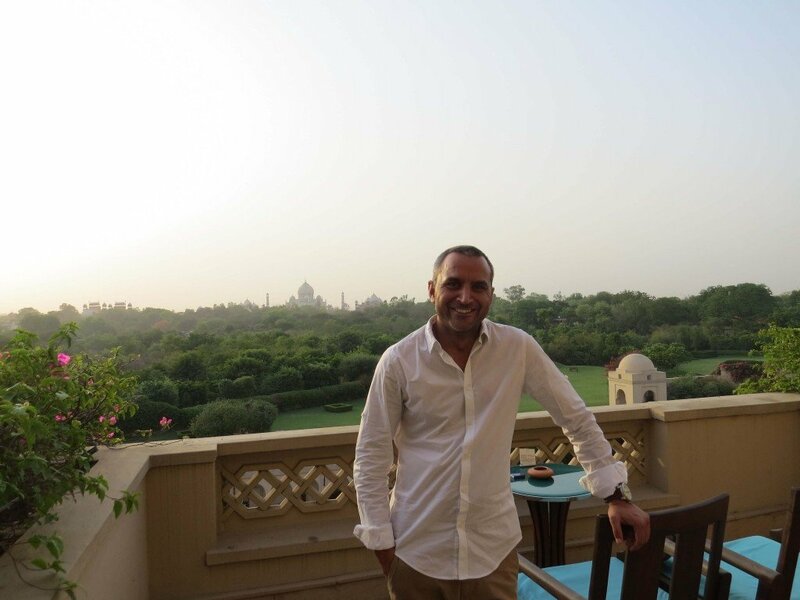 Expert advice and experience: We’re experts in creating unique, tailor-made luxury tours of India. It’s what we do, it’s what we’re passionate about (that will become clear as soon as you get in touch with us!). 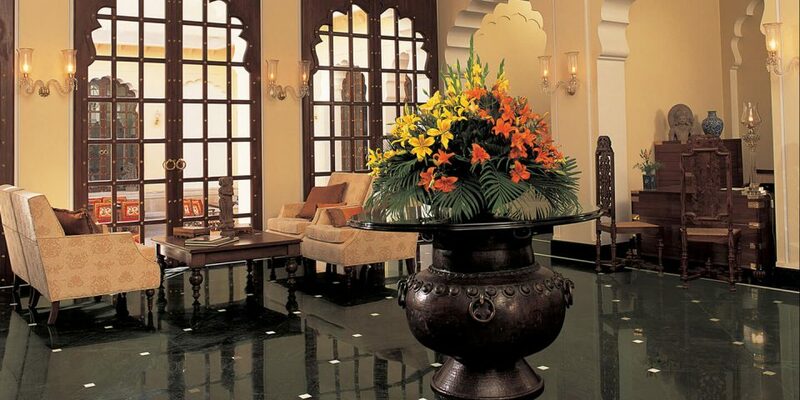 In particular, we have a long and valued relationship with the Oberoi group; as such, we’re able to pass on significant savings to you, and can use our contacts to ensure you have the best possible stay (that may translate into a room upgrade, a special cake on your birthday or anniversary, or being able to confirm a room when its otherwise sold out). 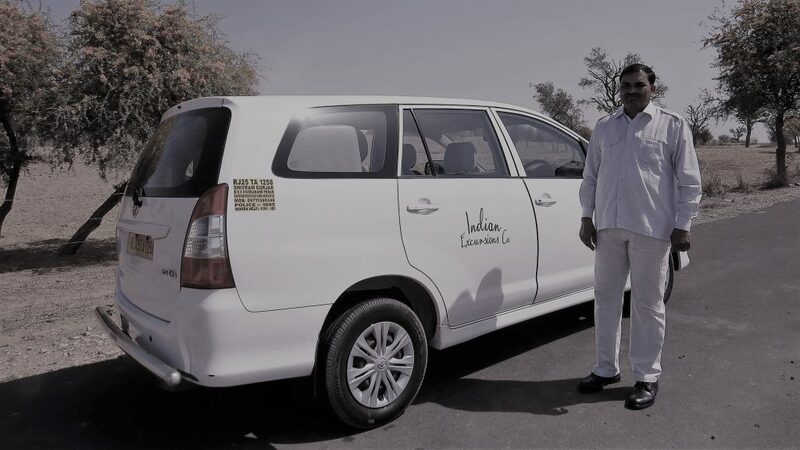 The very best guides and drivers: When booking with Indian Excursions as compared to directly or elsewhere, you’re assured of a complete and hassle-free experience, from the planning stages and throughout. Aside from your fabulous Oberoi hotels, you’ll enjoy the company of our experienced private guides to introduce you to the sights of each city; our courteous drivers to take you from A to B and at your disposal throughout (very handy if you’d like to head out for dinner in the evening), and your entrance tickets, so you’re not faffing around with small change (or getting ripped off) each day and can relax and enjoy the experience. Furthermore, and more importantly, when choosing Indian Excursions you are gaining years of first-hand experience: we regularly test first-hand all the routes, hotels and excursions we recommend, to ensure every moment of our itineraries are as close to perfection as possible. We know which destinations can be connected to others and the best way of getting there, ensuring you make the most of your time. Value for money and high-quality service: We have been told in the past by people that they can design the tour themselves for a lower cost. If you feel similar, please do take into account the quality of our service. You may like to read a few reviews from our past guests, here. If making the arrangements yourself, you’ll likely end up paying out unnecessary costs when you are here in India; in the end, it will cost much more than you initially thought. 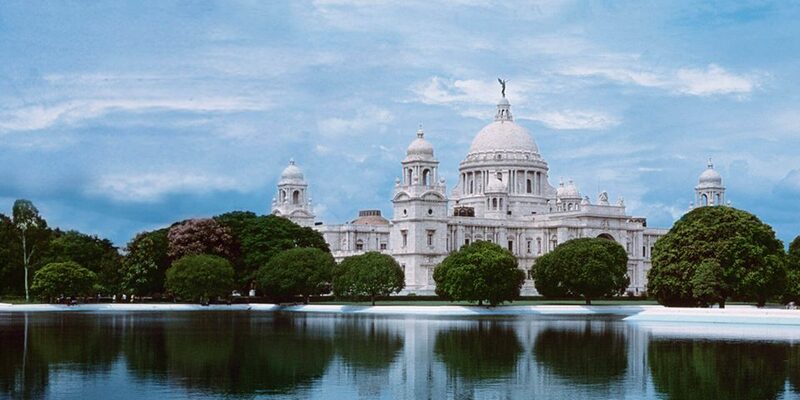 When travelling with Indian Excursions, all of your sightseeing and entrance monument tickets are included in advance, along with your expert sightseeing guides, accommodation, breakfasts, transport and more. When comparing tours with other agencies, please do try to compare like for like; their tours may be lesser quality. Personal approach and high attention to detail: Personal service really is at the heart of what we do. When we say tailor-made, we really mean it; there’s no limit on the amount of time we’ll spend refining your itinerary with you until you’re absolutely satisfied, and we welcome you to ask for any number of tweaks and adjustments. No request is too big or too small and we strive to create a truly personalised experience. With almost a decade of experience and many more in the industry, we understand that each of our guests are unique, with their own tastes and interests – what works for one person isn’t always the best for another. We are passionate about getting to know each of our customers, to really gain an understanding of their likes and dislikes and so to match them with the perfect combination of experiences and hotels. Now that is something you wont get from TripAdvisor or booking.com, and something that will elevate a great trip into a once-in-a-lifetime experience. 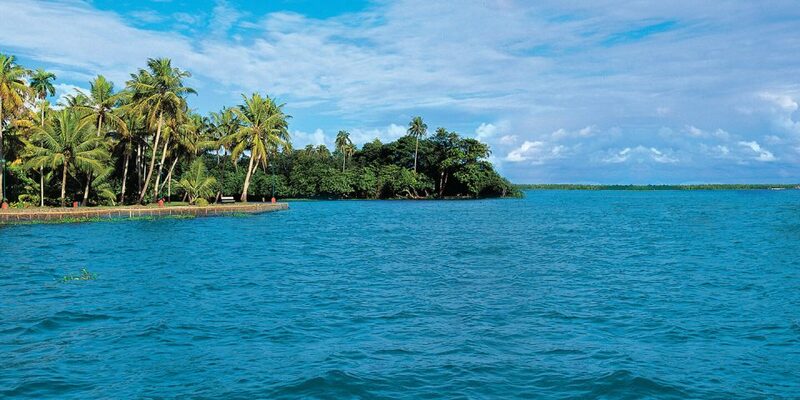 Click here to learn more about Indian Excursions Co. 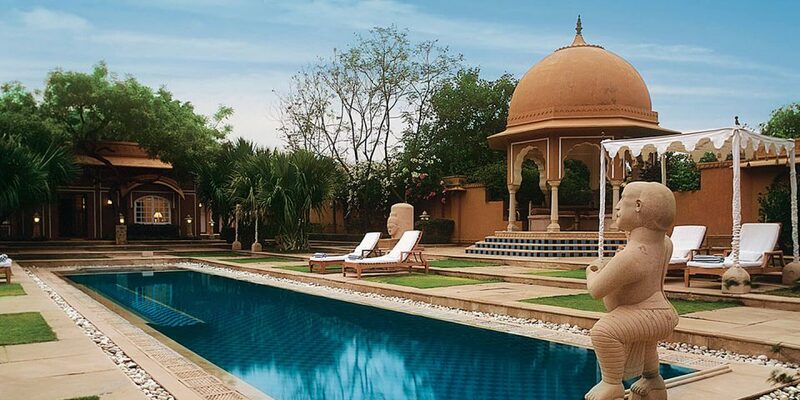 If you’re considering a luxury India tour with Oberoi hotels, do get in touch to share your ideas with us so far. 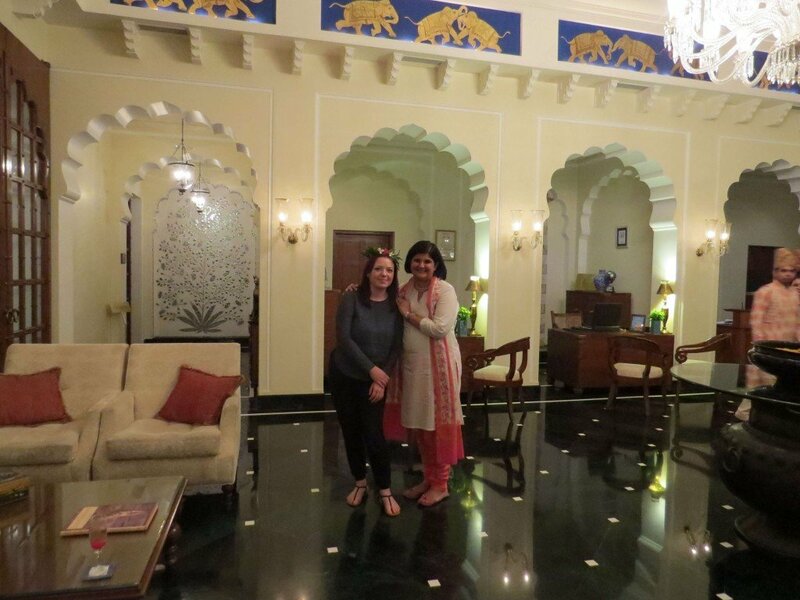 We’d be delighted to welcome you to India and assist with your arrangements.